We have our own Mulberry class email! If you with to contact us, please do so with the secure form below- we will be checking it regularly. We welcome your comments and suggestions. Please ensure children come to school in their PE kit on these days and that all kit is labelled with your child's name. This term we will be learning about superheroes. 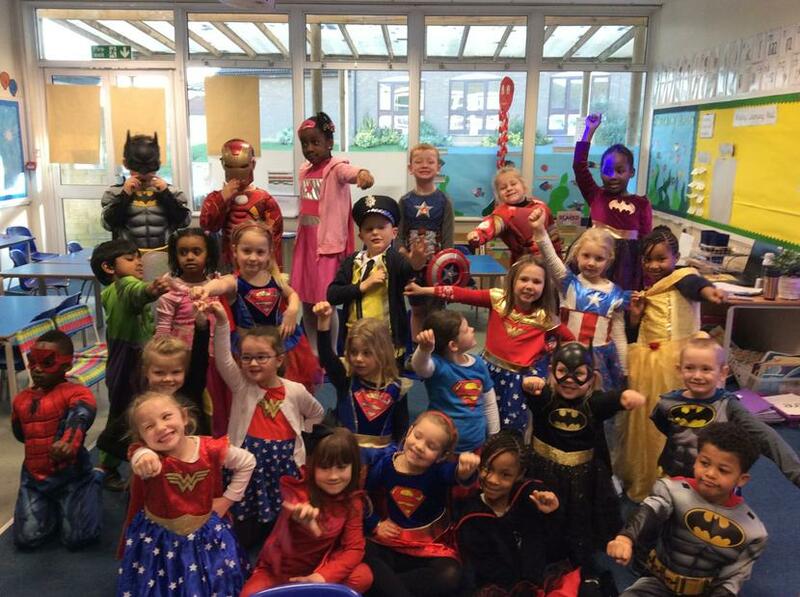 To kick start our topic we will be dressing up as superheroes for our WOW day. 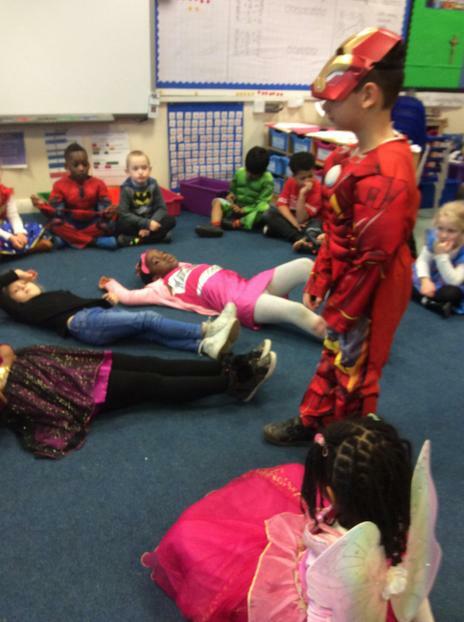 We will think about what a superhero is and what it means to be a hero. We will be learning about who helps us, for example police, firefighters and nurses. 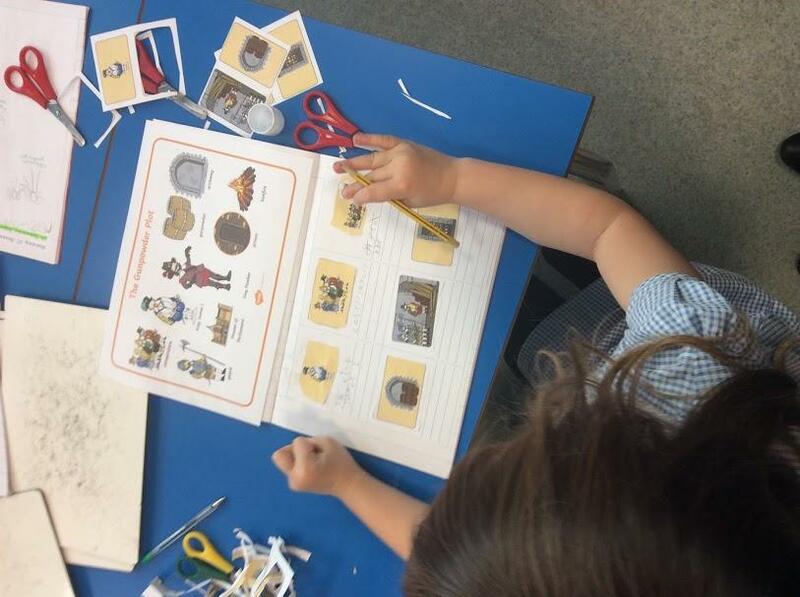 We will also think about real superheroes from the past, such as Florence Nightingale. Finally, we will think about how we can be superheroes by thinking about what we can do to help people. 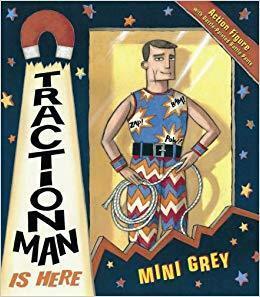 We will be reading 'Traction Man', By Mini Grey. 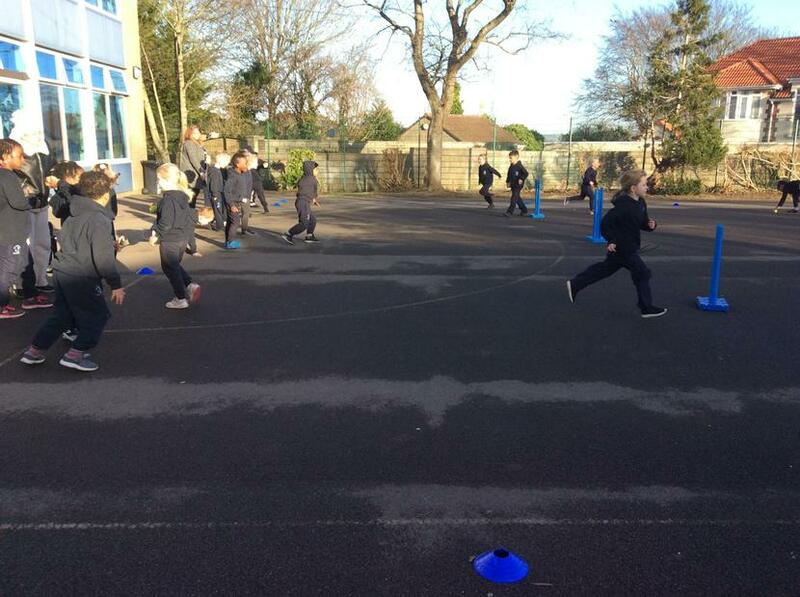 Mulberry class have had a fantastic final week of term 3. 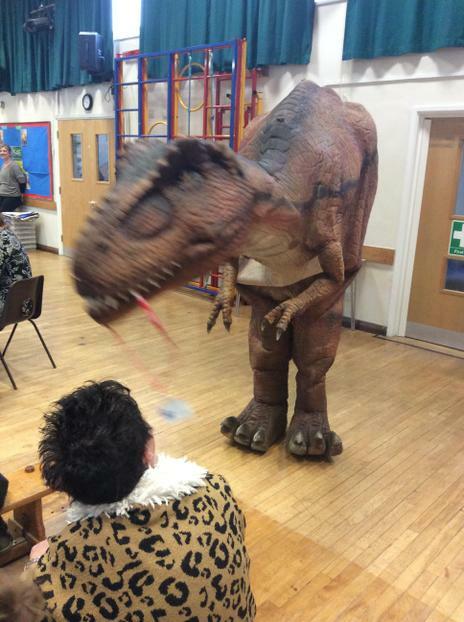 The week started with dinosaurs visiting our school! 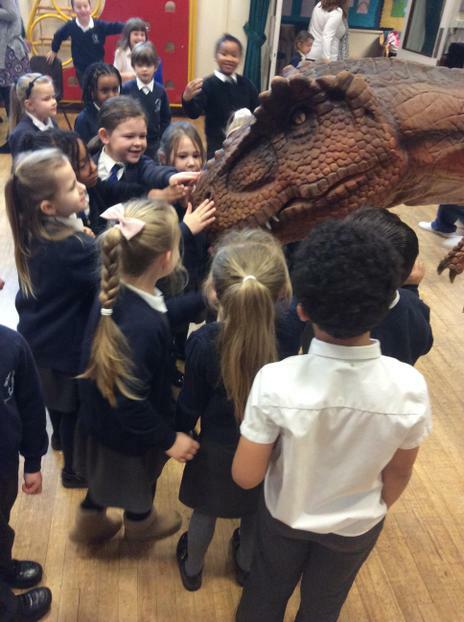 We met a T-Rex called Sophie and we learnt lots of interesting facts. 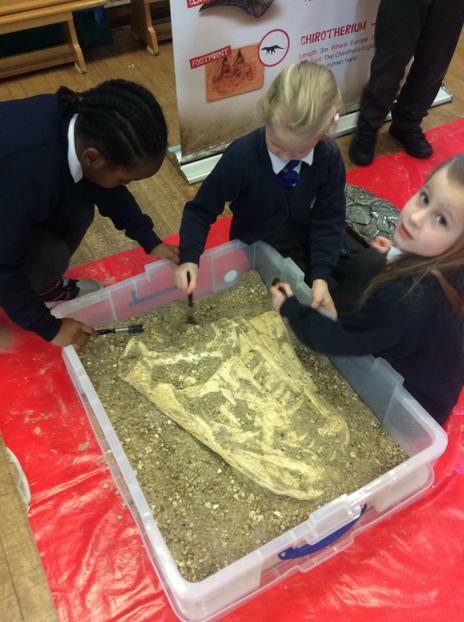 We also attended a workshop where we were able to dust fossils and find out about them. 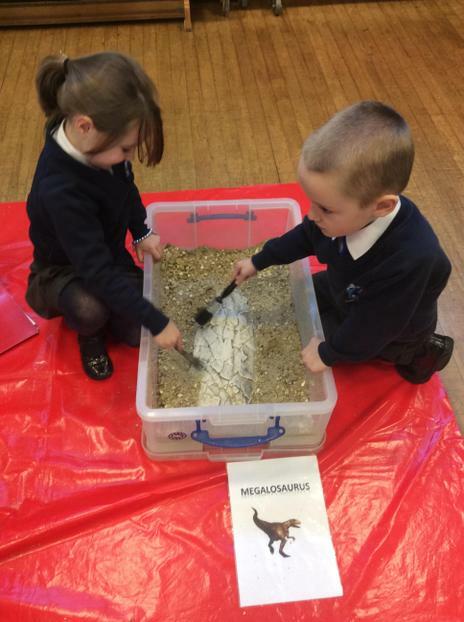 We also did lots of creative writing based on the dinosaur day and the children were really engaged. We wrote thank you letter and we wrote a recount. 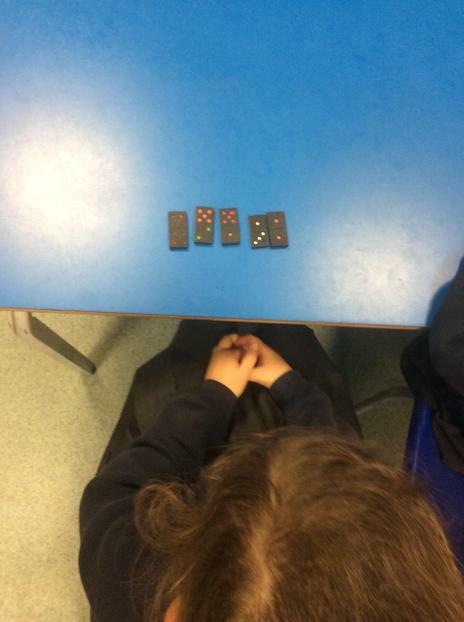 In maths, we have been learning about place value and how many tens and ones are in a number. 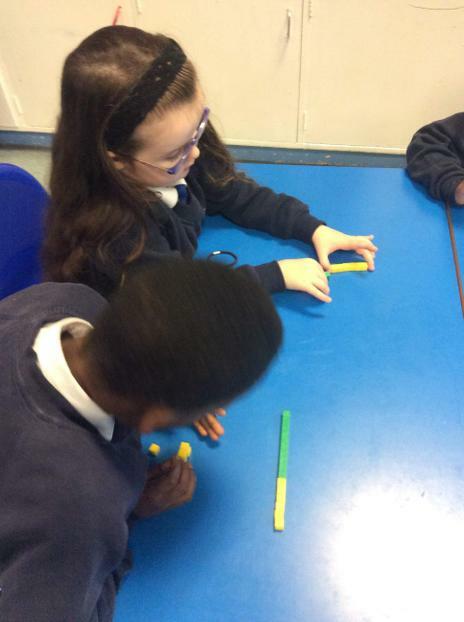 We used dienes to help with our understanding. 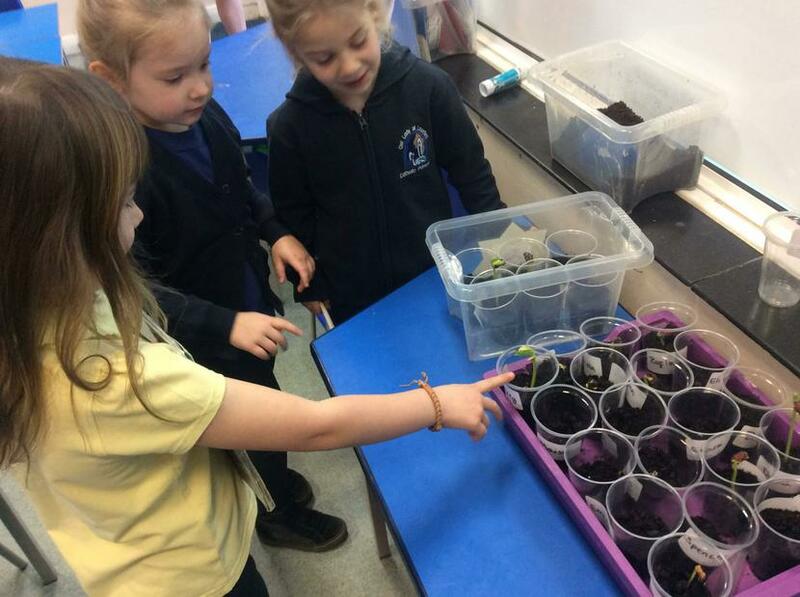 In Enquiry, we have been observing our kidney bean plants and some have them have started to grow. We have also created some onomatopoeia pop art based on the artist Roy Lichtenstein which will look great on our display about superheroes. 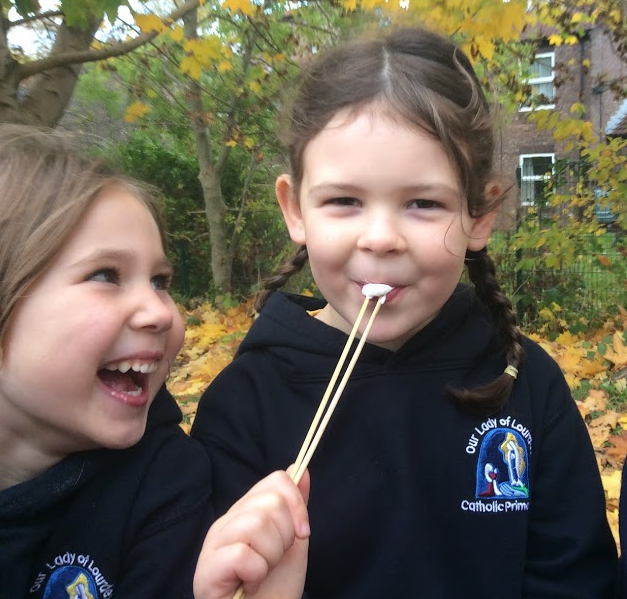 After a busy and productive term, Year 1 are looking forward to an enjoyable and relaxing break. 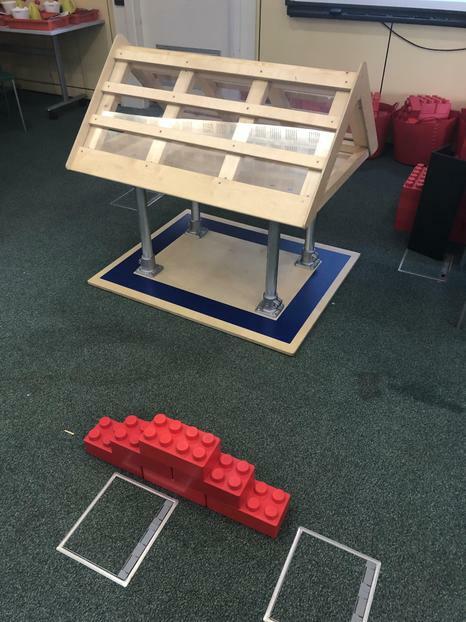 Mulberry class have had a very exciting week! 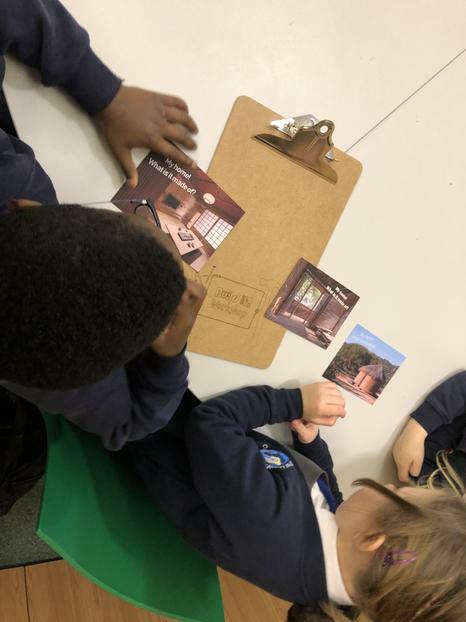 This week we had online safety day and we had a go at lots of different activities to help us to understand how to stay safe online and the importance of staying safe. In writing, we wrote a story based on 'Traction Man' but we changed the main character. 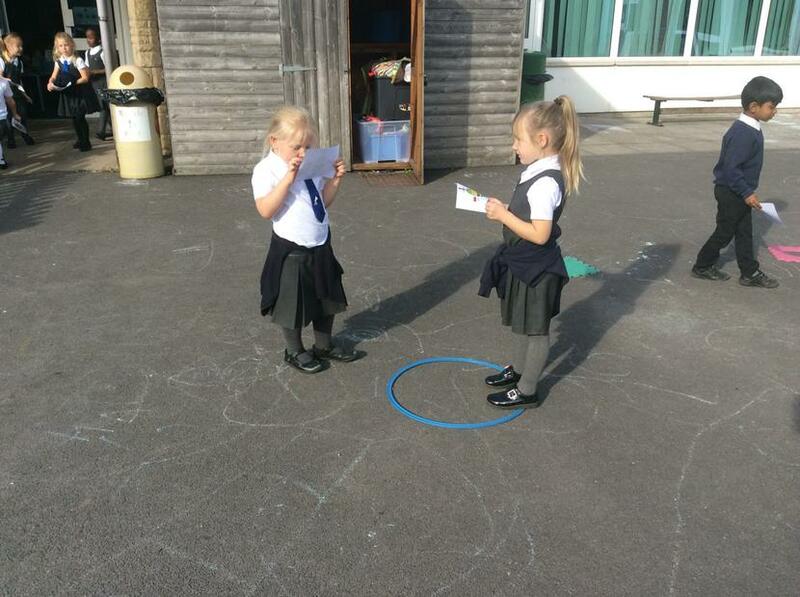 The children were able to use lots of writing targets which made their stories really interesting to read. 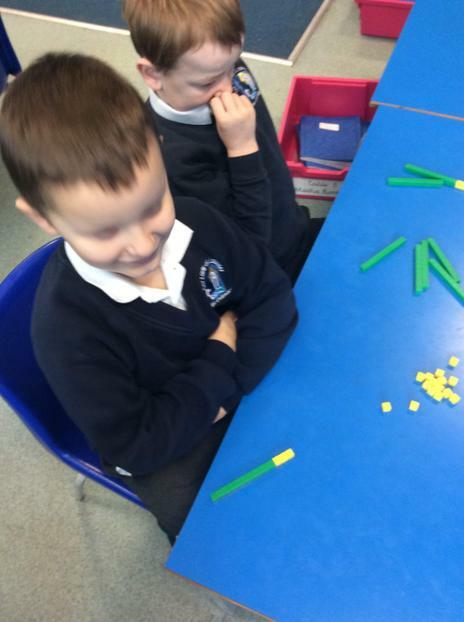 In maths we focused on counting and writing numbers to 20. 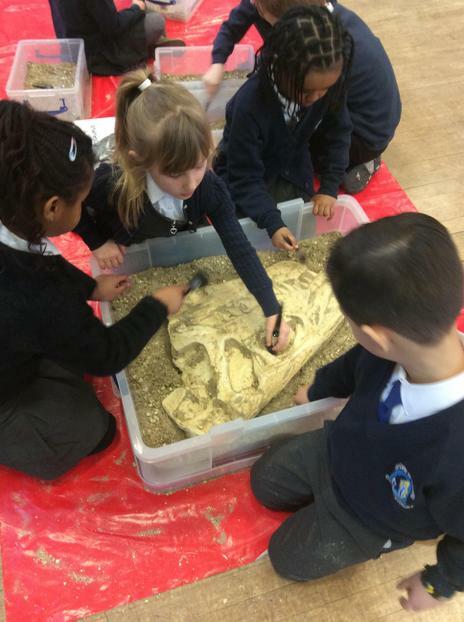 We also went to 'We're the Curious' with Reception and Year 2. 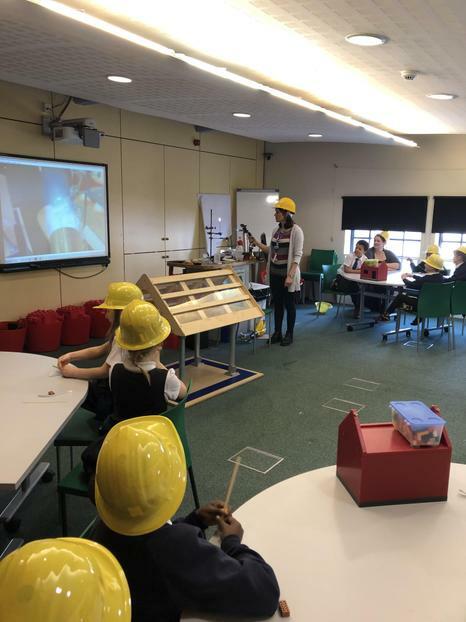 We learnt a lot at our workshop which was about materials and their properties. 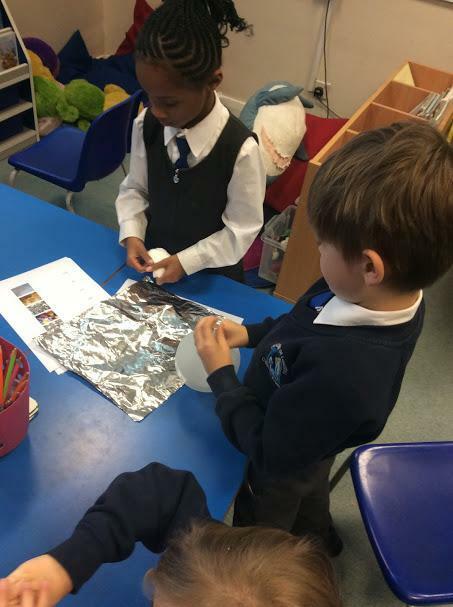 We learnt about the best material for a house by testing the different materials. We then learnt how to lay bricks and build a house! In RE, we have discussed who the people listening to Jesus thought their neighbours were and who Jesus said that their neighbour was. We created a 'Neighbours Wheel' to help with our understanding. To finish the week we took part in 'SigntoSing' where the whole school used sign language to the song 'Greatest Day'. 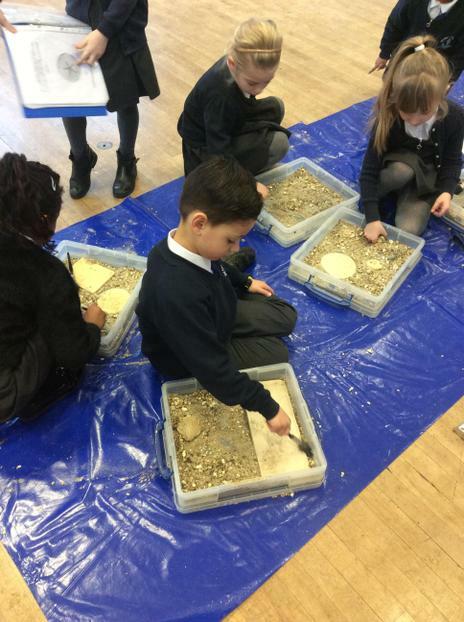 Mulberry class have had a very productive week. We started the week dressed as Zoo animals which was a lot of fun. We have been very busy in enquiry, we designed a logo for Traction Man. We then looked Andy Warhol’s Pop Art and were inspired to create our own Pop Art, including our logo designs. The children also designed a new costume for Traction Man and were able to use labels. This week in maths we have been comparing statements. For example, 3 + 2 is ‘greater than’ or ‘less than’ what number? 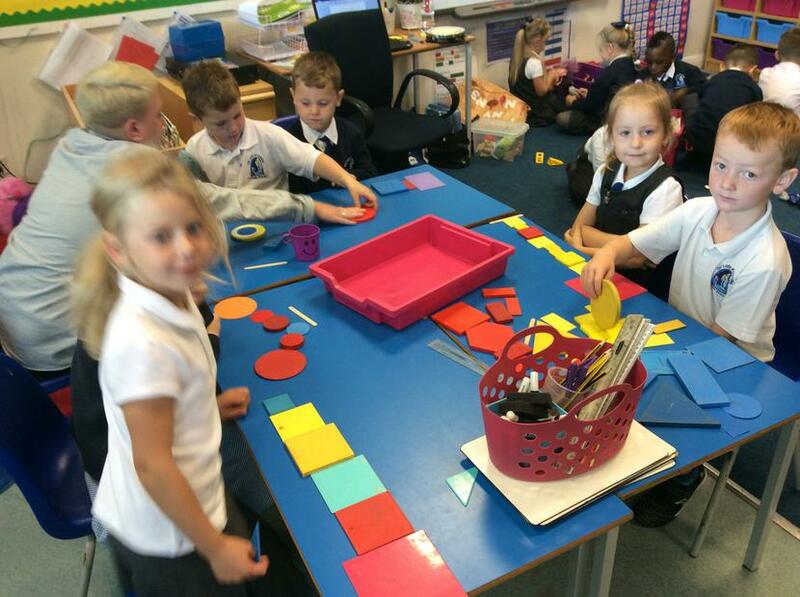 We have also started to recognise and name 3D shapes. I wonder if the children can spot any 3D shapes at home! In writing, we imagined that we were Traction Man and wrote diary entries about our latest mission. We also wrote a letter, including verbs and questions. In RE, we have been looking at parables. We have particularly enjoyed discussing the parable of the Good Samaritan and the meaning behind it. We are looking forward to Monday as we are going to dress up as what we want to be when we are older. We started the week by beating the January blues by dressing in blue! 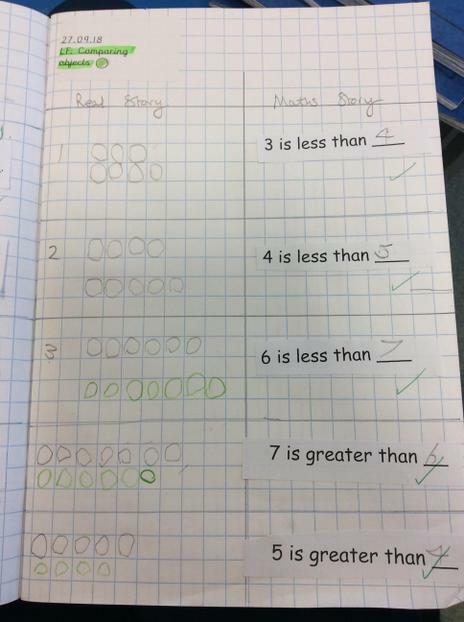 This week in maths we have been finding the difference between two amounts. We did this by putting the smallest number in our head and counting on. 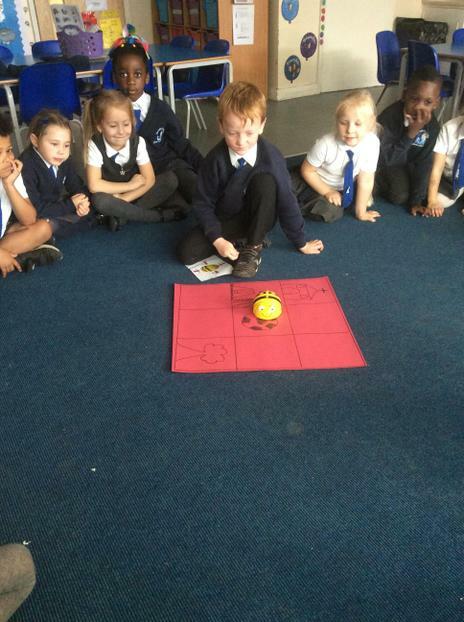 We also looked at images and physical objects to help us to see the ‘difference’ between two numbers. We have really enjoyed writing about superheroes in English. We wrote about the superhero that we came dressed as last week and we also wrote a character description about Traction Man. We used a range of adjectives to make our writing interesting. 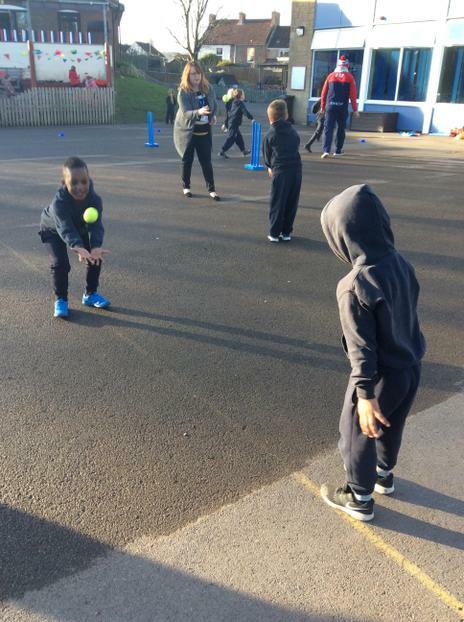 In PE we have been practising some skills which will help us to play cricket. 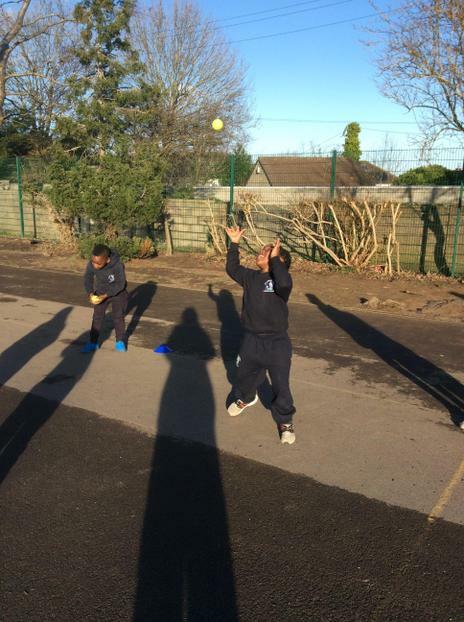 We practised throwing and catching and aiming at stumps. 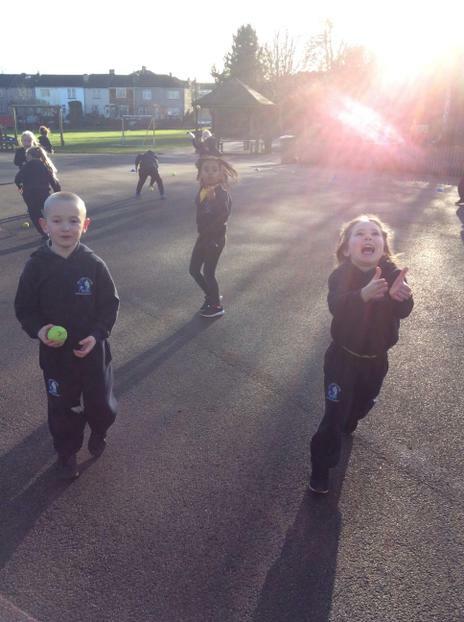 It would be great if the children could practise their throwing and catching at home. In RE, we finished our learning about Advent by creating a poster of the different ways that Christians prepare for Christmas. 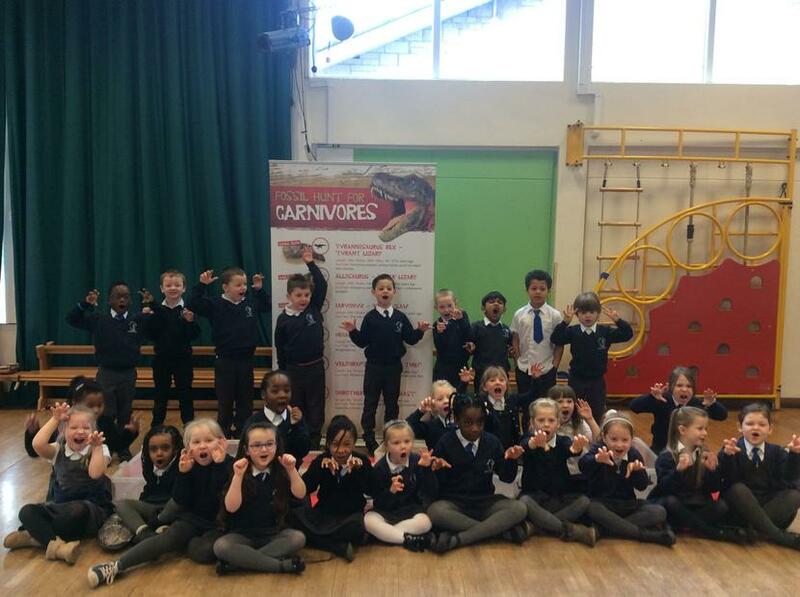 We have had an enjoyable second week back and we are looking forward to dressing up as Zoo animals on Monday. 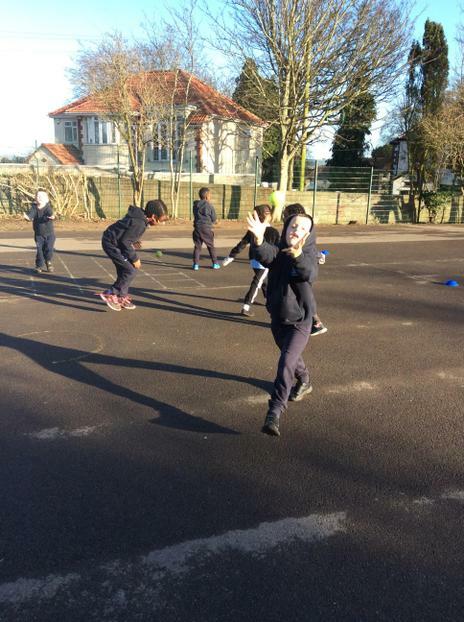 Mulberry class have come back to school after the Christmas break eager to learn and we have had a great week! 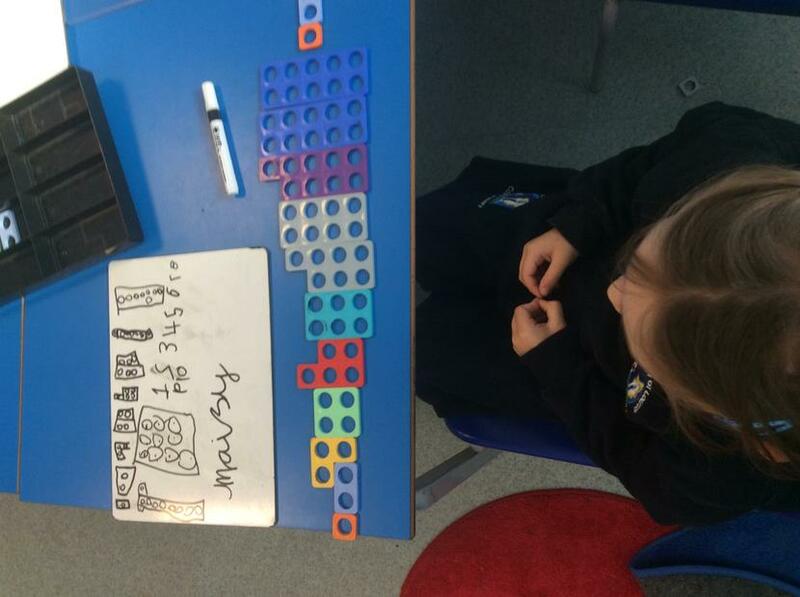 This week in maths we have been learning about subtraction. 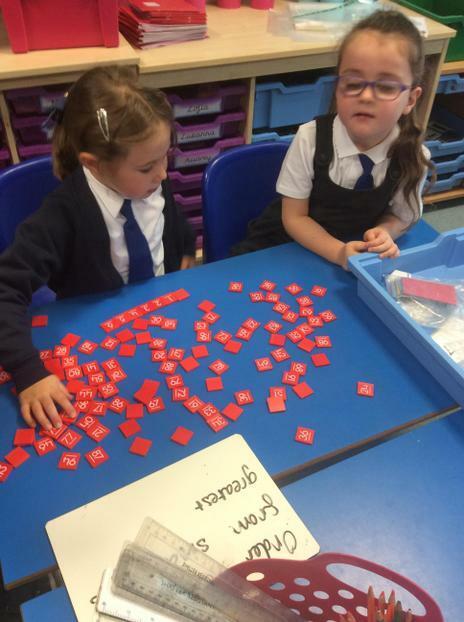 The children used counters to work out subtraction sums within 10. 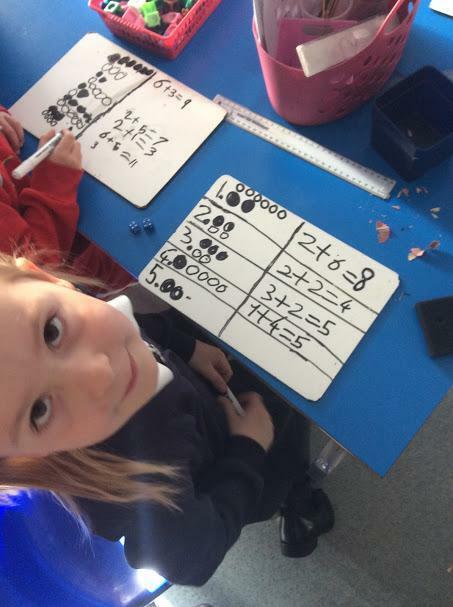 They then worked out some questions by drawing the counters in their book and crossing out the amount that they needed to take away. 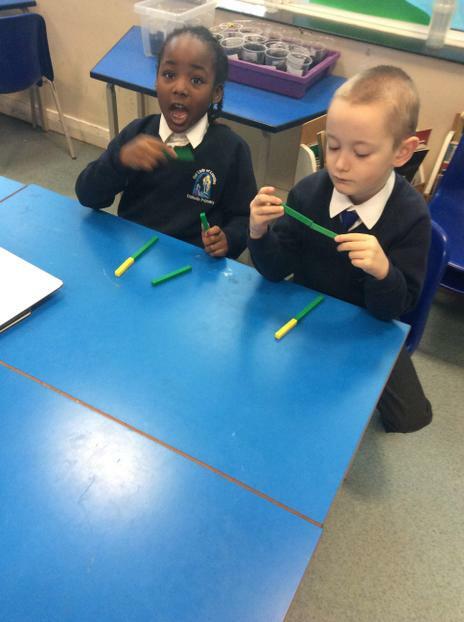 Later in the week we did some fantastic subtraction work using number lines. We were able to put the starting number in our head and count/jump back to work out subtraction questions. In Science we have tested the properties of materials and recorded our results. 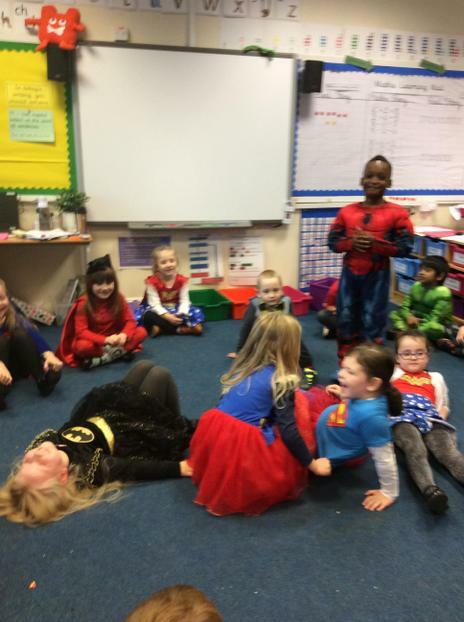 The highlight of the week was our WOW day where we all came in dressed as superheroes. Everyone thought that we looked great! 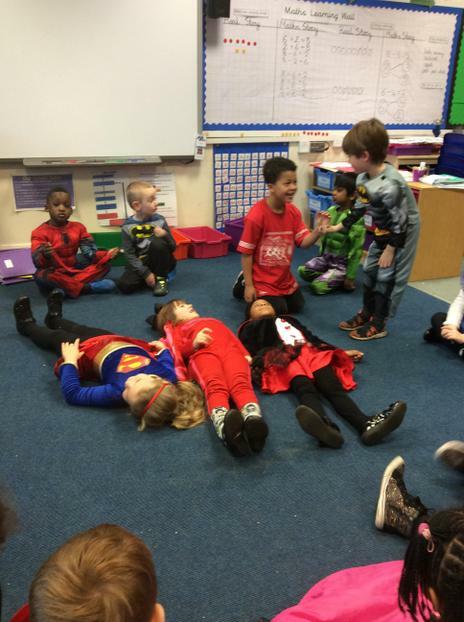 The children enjoyed talking about their superhero and explaining their characteristics. We also started our new book ‘Traction Man’, by Mini Grey which is about a superhero and his adventures. 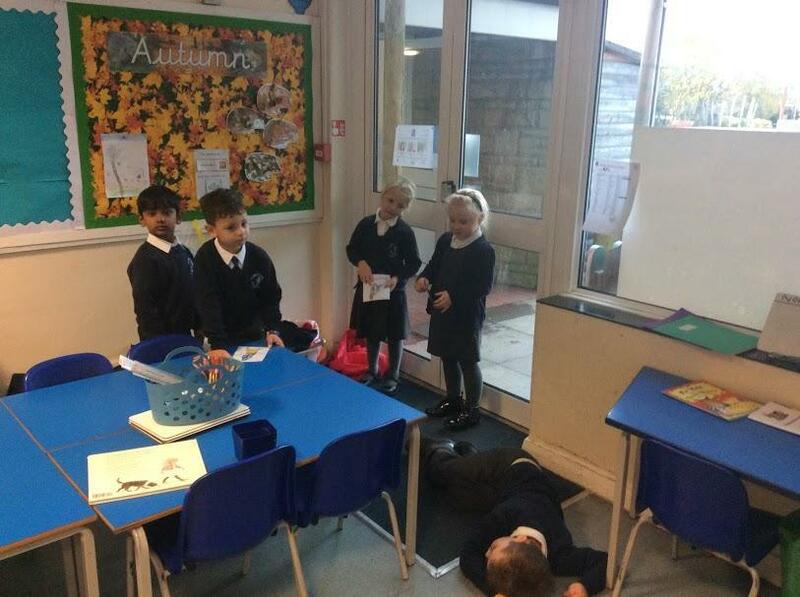 The children listened to the story and were given a section of the story to act out in groups. They then created a story map which increased their understanding of the story. 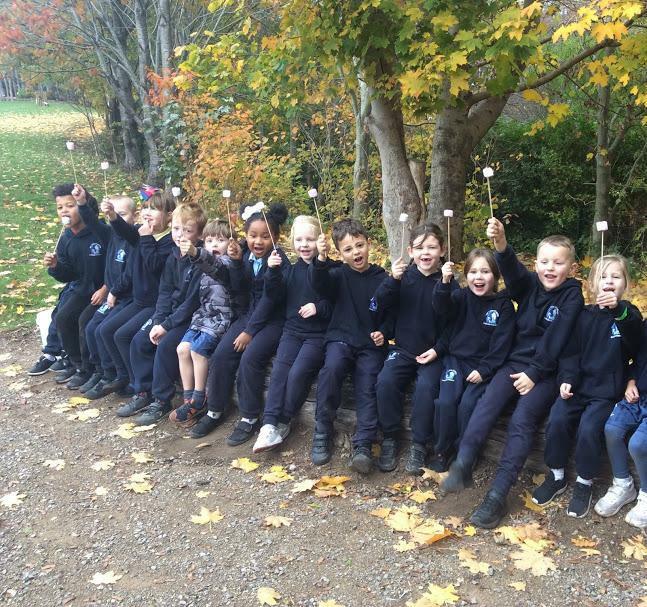 Year 1 are looking forward to a relaxing weekend. Our enquiry theme for term 2 will be- Fire and Ice. 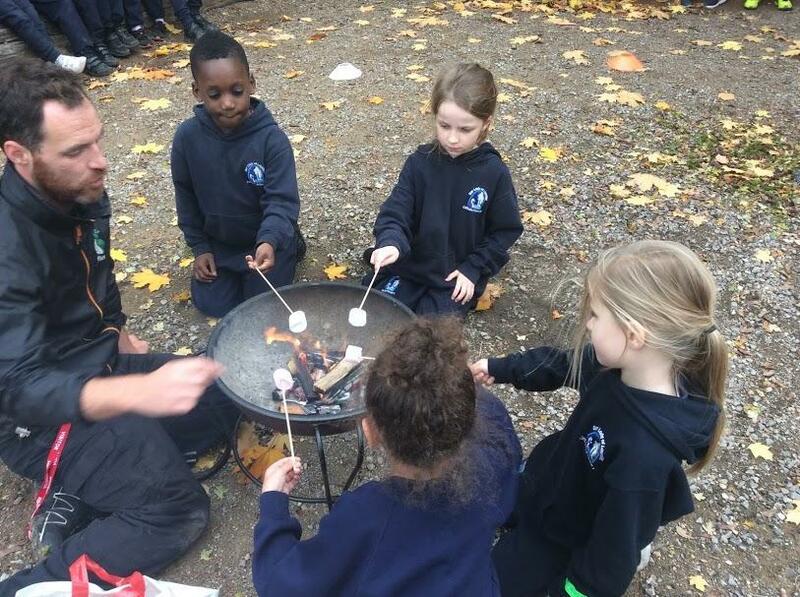 We will spend time learning about events from the past such as the history behind Bonfire Night and the Great Fire of London. We will also be looking at weather patterns around the world. 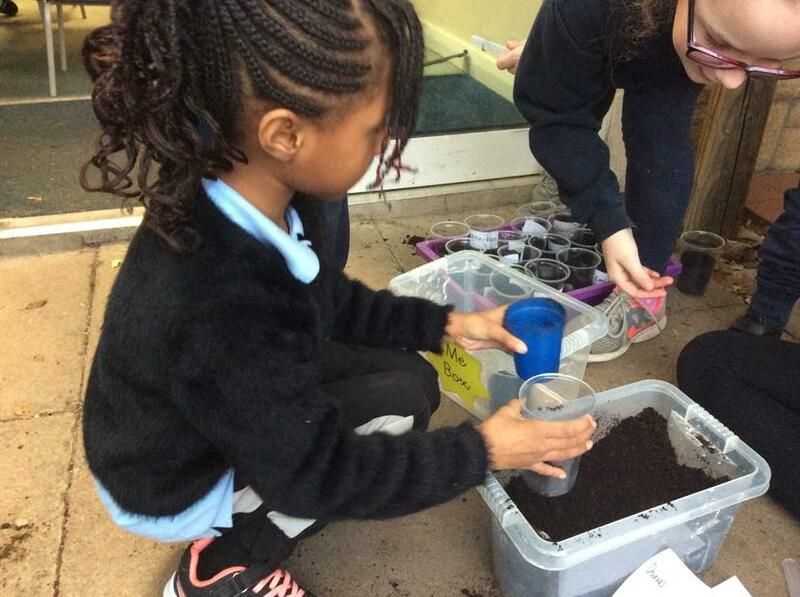 For science we will be learning about materials. 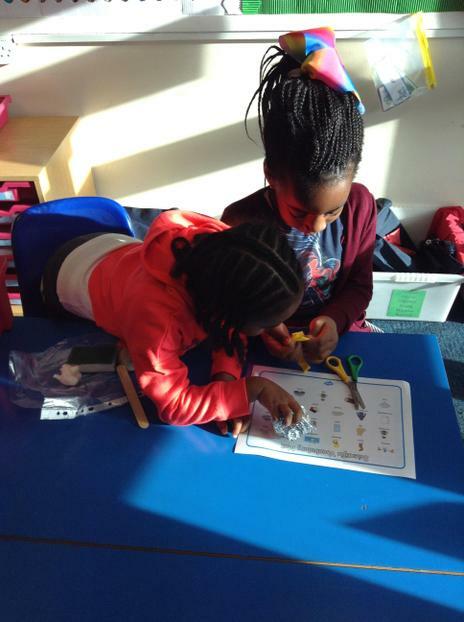 We will investigate the different properties and design products using known materials. 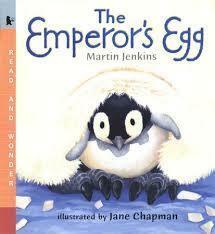 To support our enquiry area we will spend time reading a book called The Emperor's Egg. What a busy week it has been! 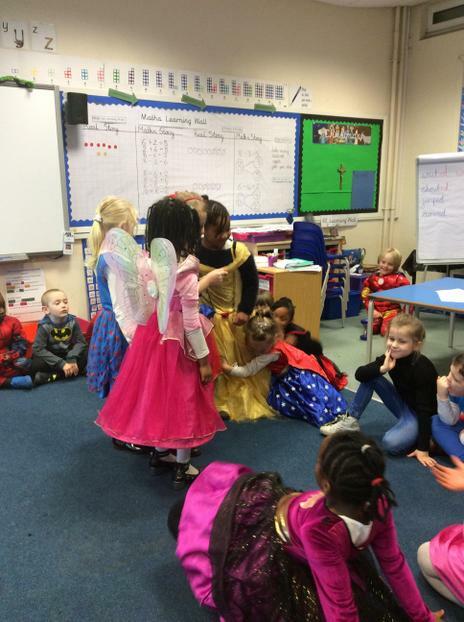 This week we performed our nativity to our parents. Miss Bennett and the KS1 team were very proud of us. 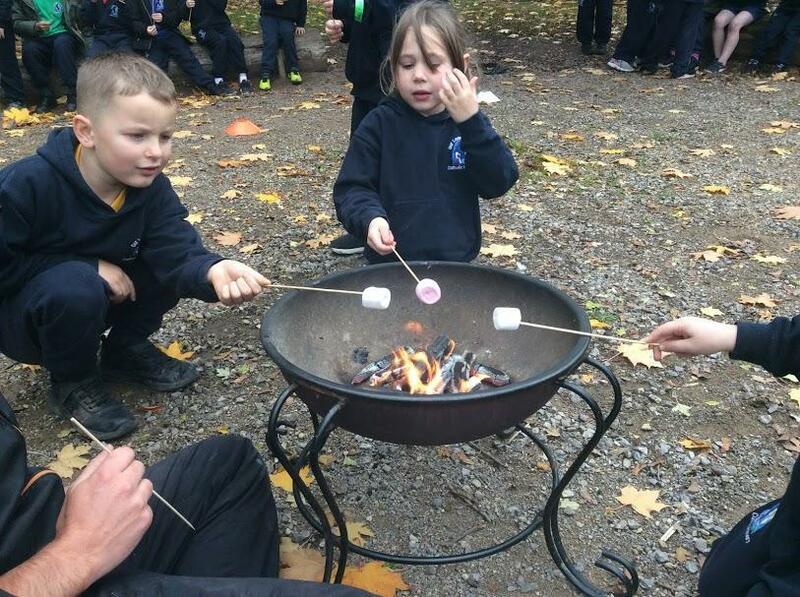 We also enjoyed the RE retreat day which was very special. We met the whole school in the hall and got into our house teams. 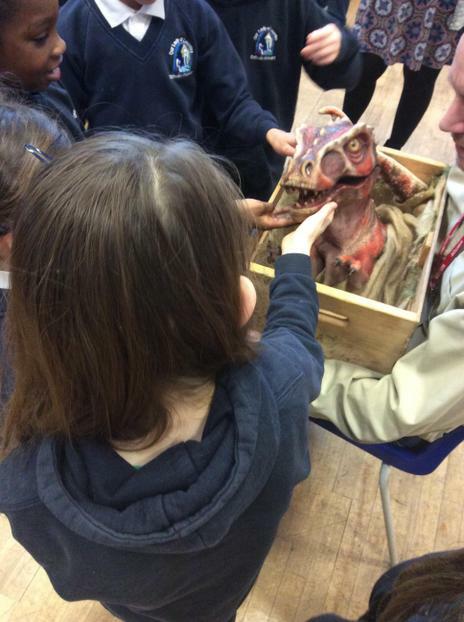 We attended themed sessions and worked with children in different year groups. 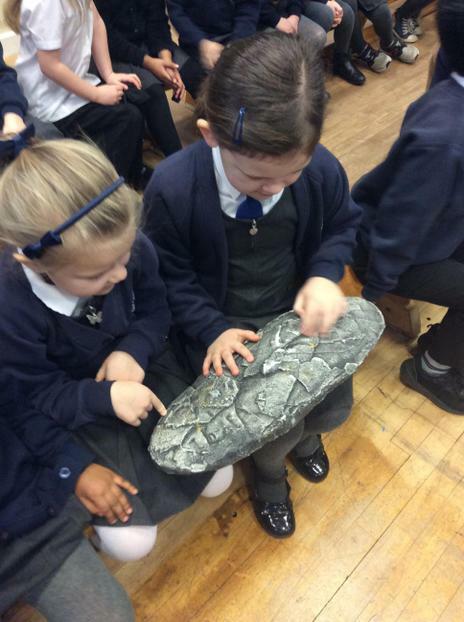 We explored many Christmas themes such as 'Gifts and Presents', 'Journey' and 'Waiting and Preparation'. 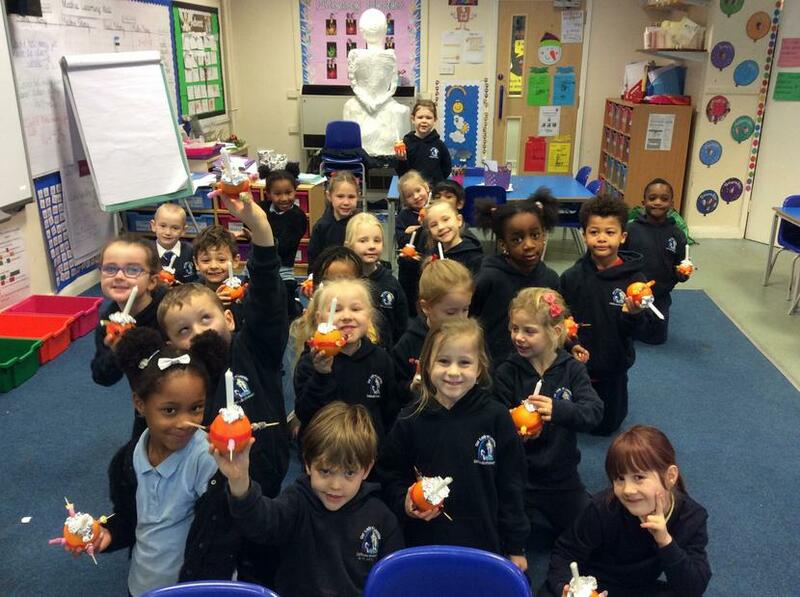 We ended Term 2 on a high with our Christingle Service. 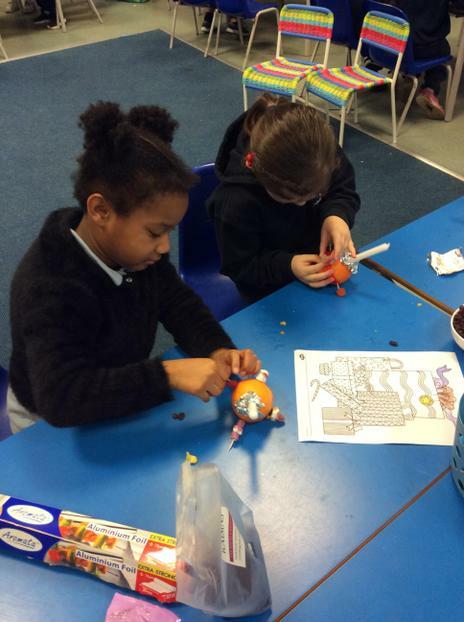 The children learnt about the meaning of the Christingle and enjoyed holding 'the light' in the hall. It was a magical service as Our Lady of Lourdes school and the community came together as a family to sing hymns and pray together. We also said goodbye to some very special people in school. It has been a magical end to the term and the Year 1 team wish the children and their grown ups a very Merry Christmas and a Happy New Year. 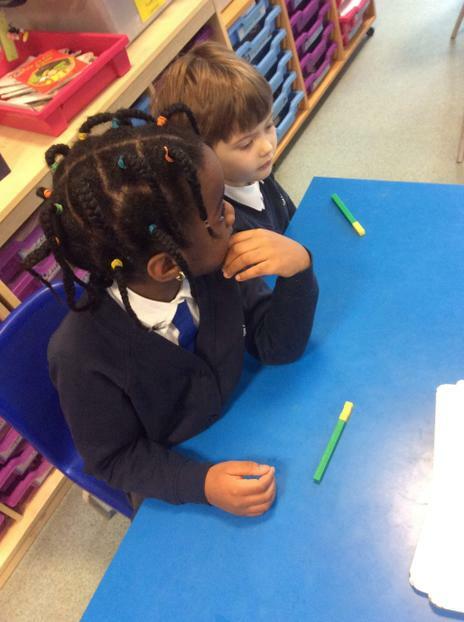 This week in Year 1, the children have continued to write their stories independently. 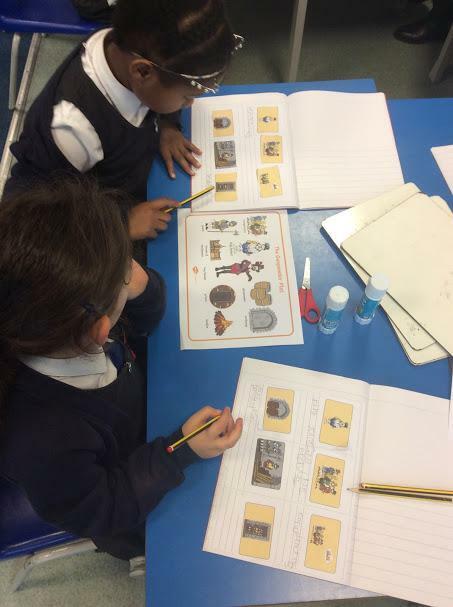 I have been impressed by the content of the children’s writing as they have been using many targets that we have learnt such as using ‘and’ to join words. 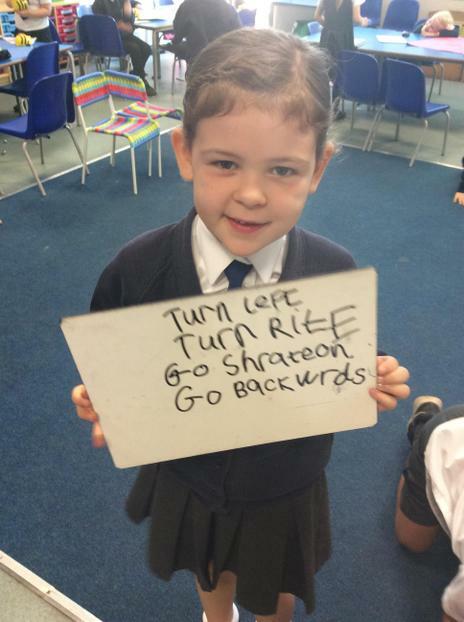 Many children are now naturally using capital letters and full stops. 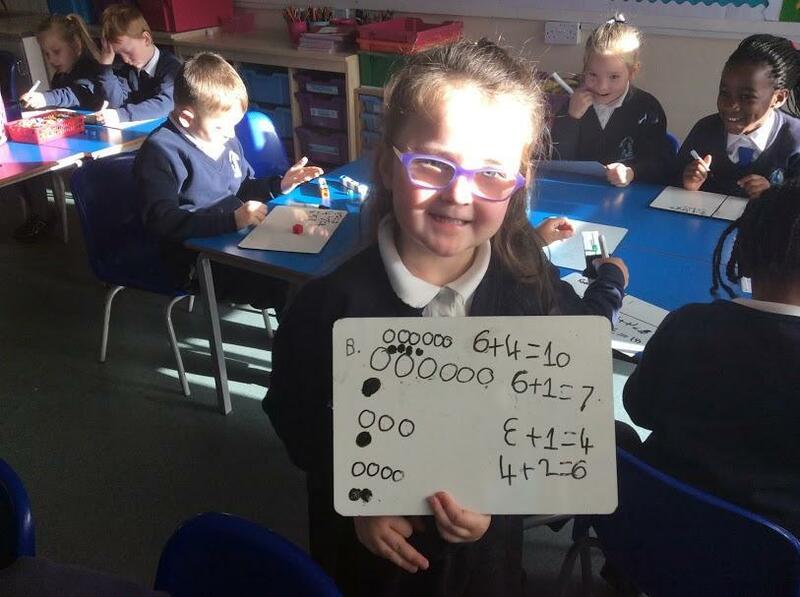 In maths, we have been applying the skills that we have learnt to word problems. 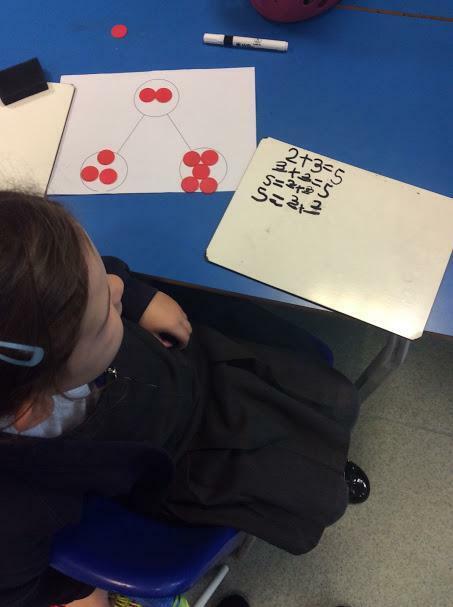 Some children have been trying hard to explain how they worked out the answer. We also found time to be festive and we have enjoyed Christmas craft. We followed instructions to make snowflakes and used glitter to make them sparkle in the window. Earlier in the week we were invited to watch pre-schools nativity at the church and we really enjoyed their performance. It has made us very excited for our own! We had dress rehearsals for the nativity this week. The children have been working really hard to perfect their performance and they are looking forward to performing to an audience next week. We also enjoyed wearing Christmas jumpers and eating our Christmas lunch on Wednesday. 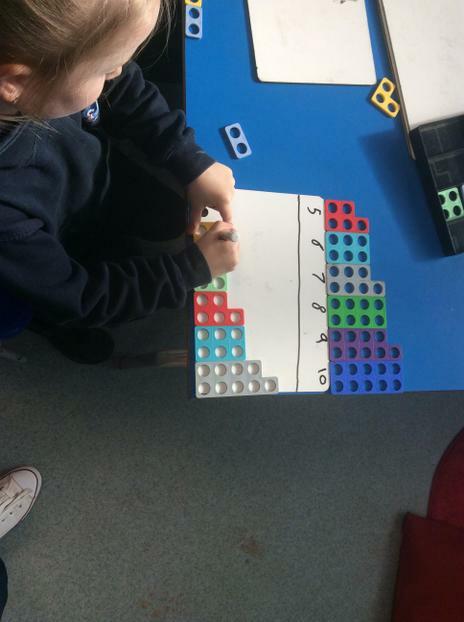 This week in math the children have been applying their knowledge of the part whole model to addition and they have used language such as total and altogether. 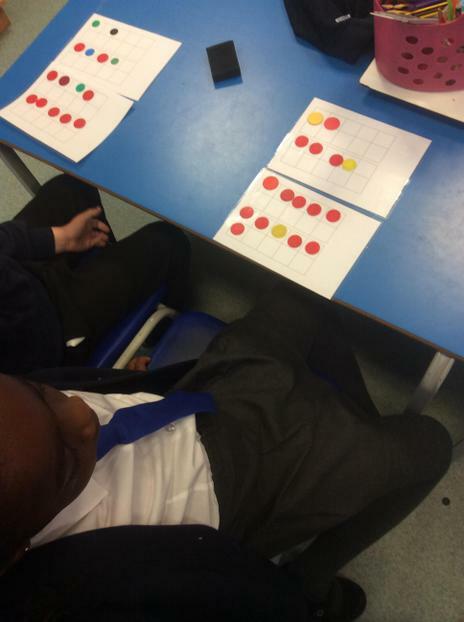 They have also been trying to move on from ‘counting all’ to ‘counting on’ by developing a mental strategy. 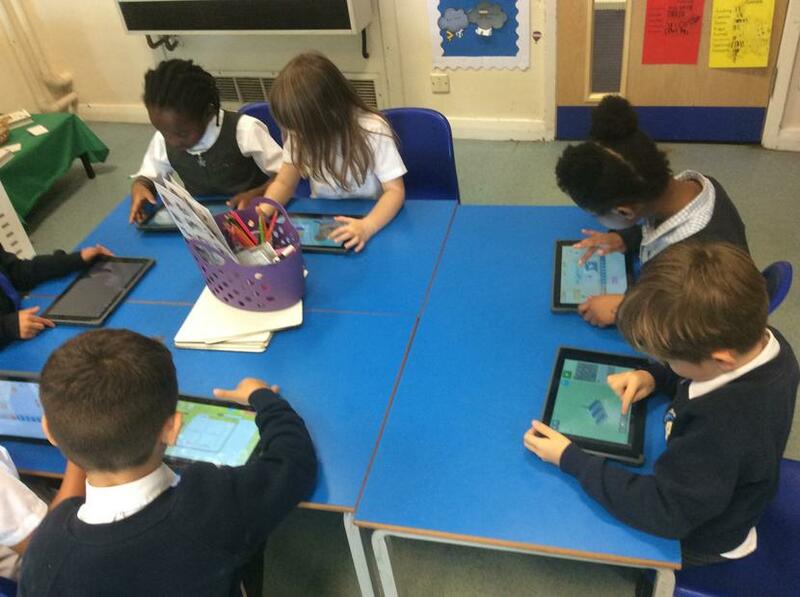 In English the children have been writing an information text about penguins based on the story ‘The Emperors Egg’. They have tried really hard to use their writing targets, particularly the use of ‘and’ to write compound sentences. We also revisited the use of capital letters at the start of sentences and full stops. 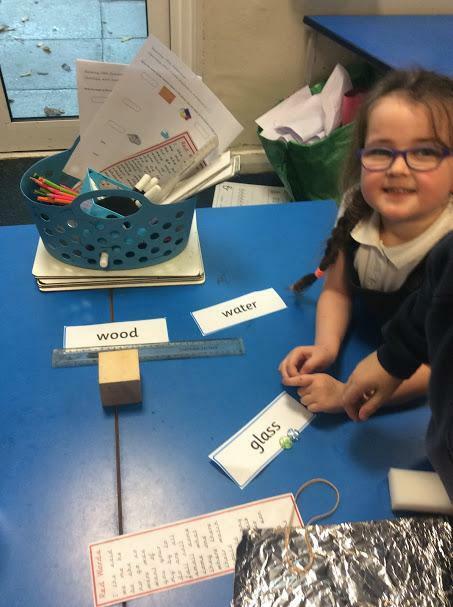 As part of Enquiry we have been investigating different materials, using key words to describe their properties. For example, hard, soft, bendy and stretchy. They have also learnt the meaning of some new words such as opaque and transparent. 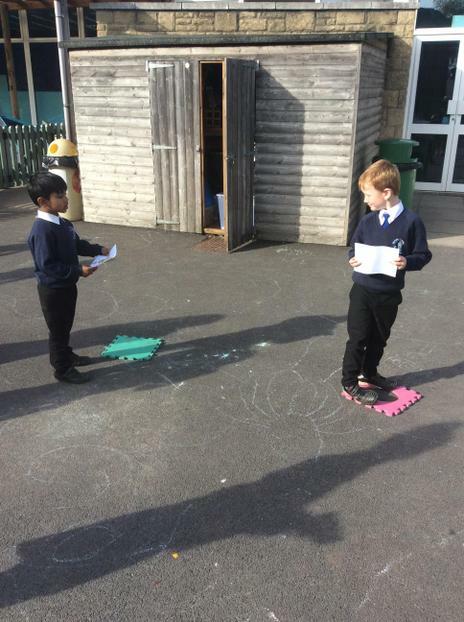 In RE this week we have learnt more about Diwali, the festival of light and thought about why some people light candles and put them outside of their homes. 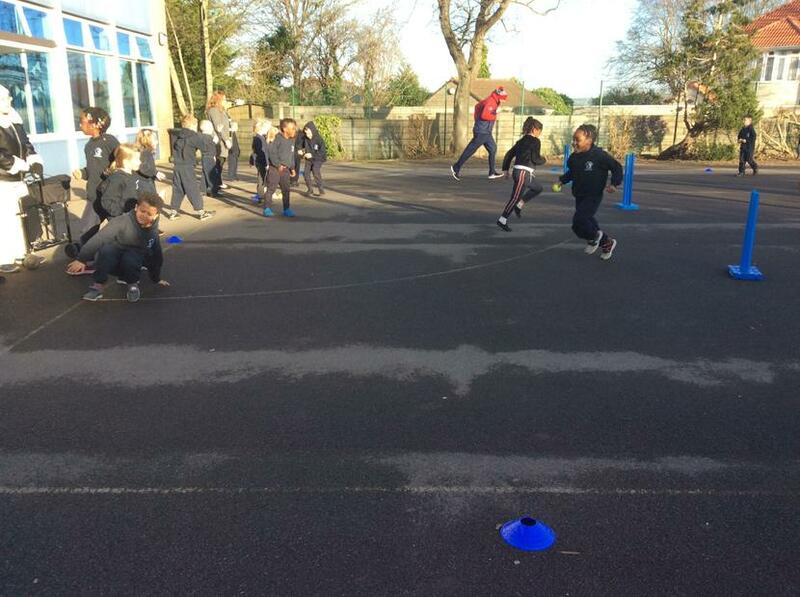 In PE, we enjoyed taking part in an agility course, led by sports coaches. It has been a great week! I have been so impressed with how frequently the children are reading at home and in school, everyone’s effort is showing in the progress that is being made. 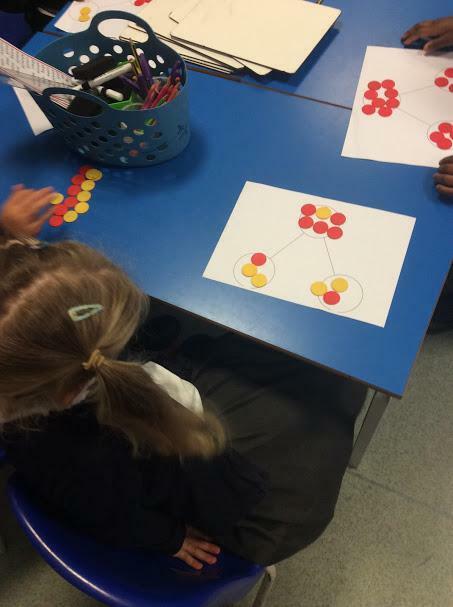 This week in maths the children have been learning about Number Bonds within 10. 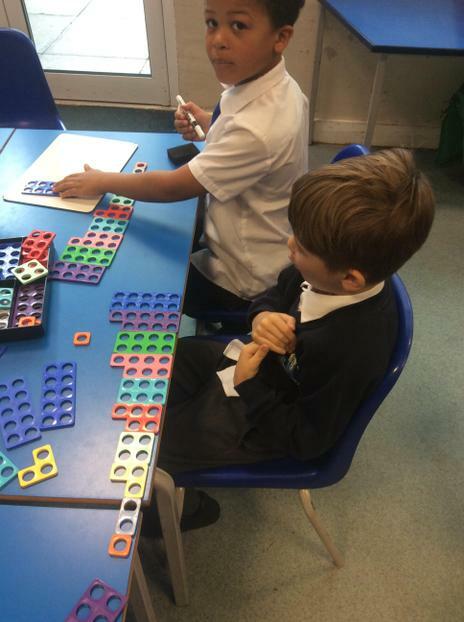 They have explored this by using cubes to break up the whole number into two parts. 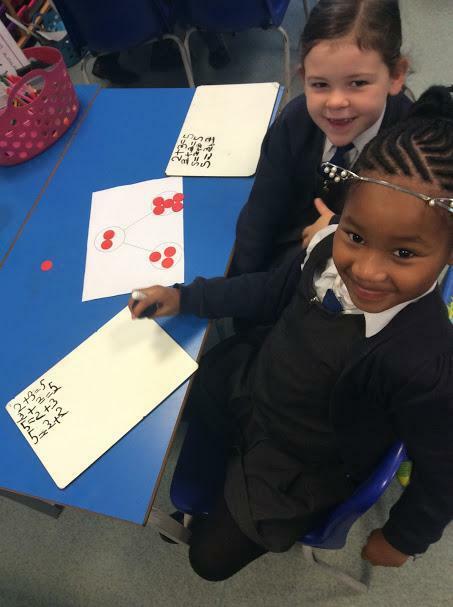 The children have also started to use Number Bonds systematically to write number sentences. In writing, we have been learning how to use ‘and’ to write compound sentences. 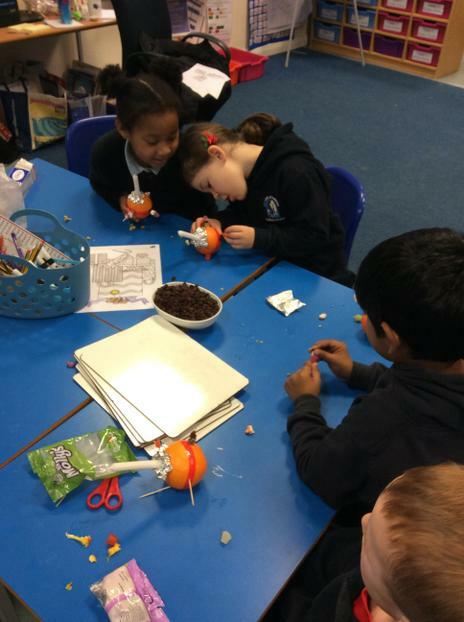 The children wrote excellent facts about penguins based on the book – ‘The Emperor’s Egg’. In our spelling sessions we have been practising adding ‘ing’ to verbs. 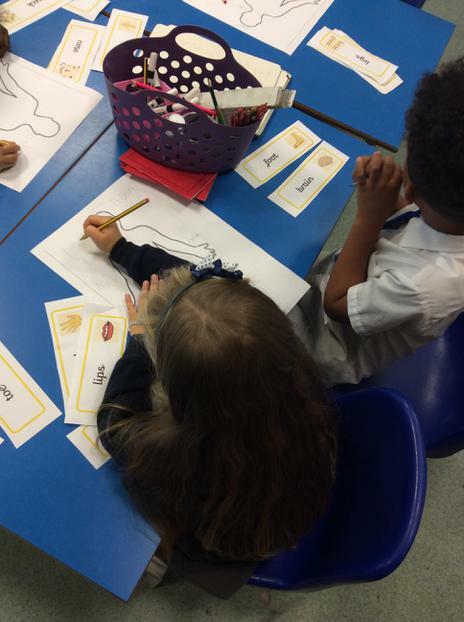 In RE, we have continued to explore Other Faiths and this week we have learnt about Sikhism. We found out about the 5 Ks and what they mean to Sikhs. 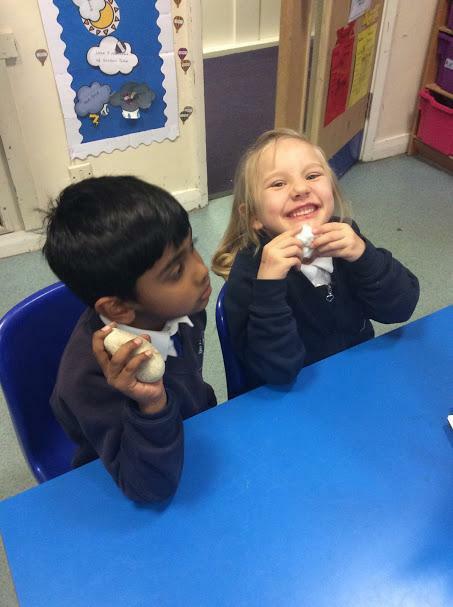 As part of our enquiry, we have been learning about Everyday Materials. 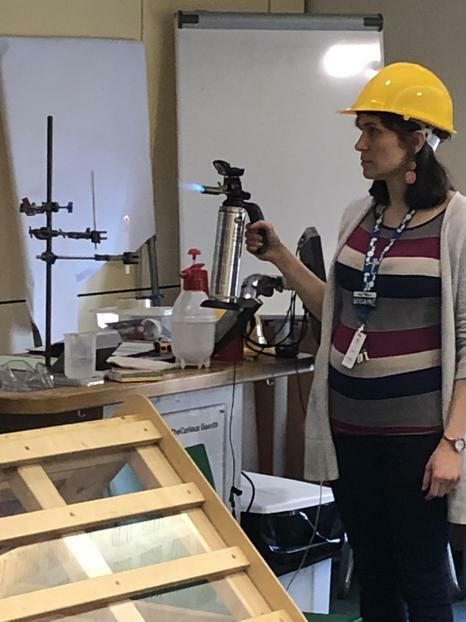 We have been able to identify many materials such as plastic, wood, metal and glass. 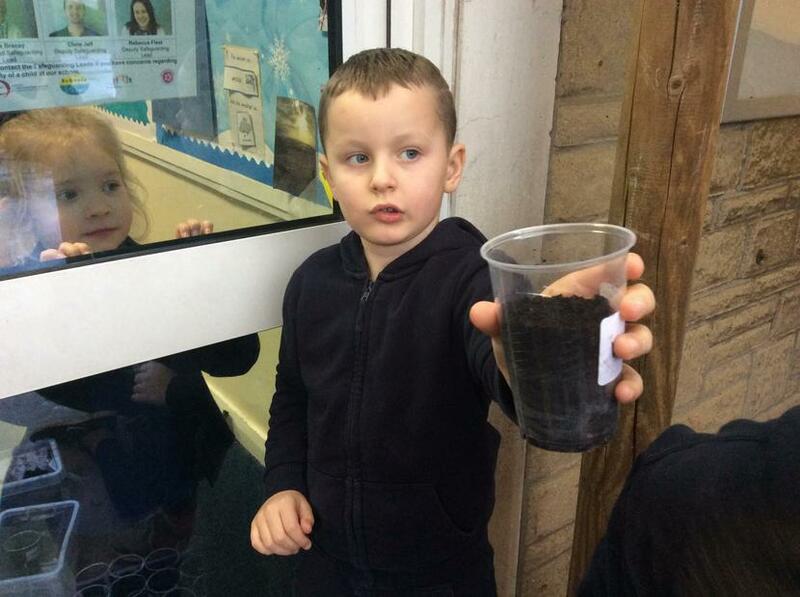 I wonder what materials the children can spot at home! Time flies when you’re having fun! 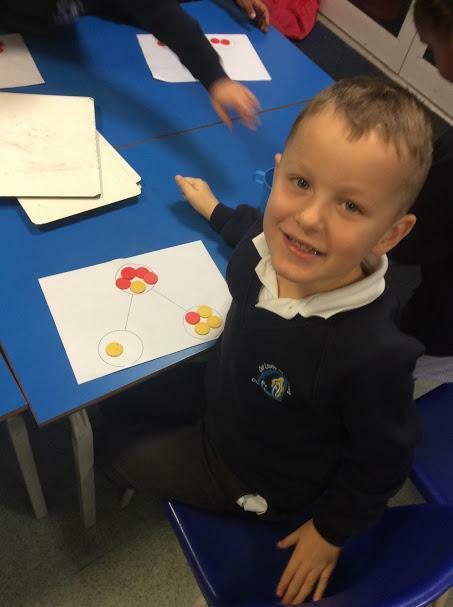 This week in maths the children have been learning about the addition symbol and addition fact families. In English, we have been focusing on our new target, which is to use ‘and’ to write compound sentences. In Enquiry, we finished our learning about Bonfire Night and wrote facts about Guy Fawkes. We have also enjoyed learning about Armistice Day and Remembrance Day. We wrote thoughtful prayers and reflections to remember those who lost their lives in the war. 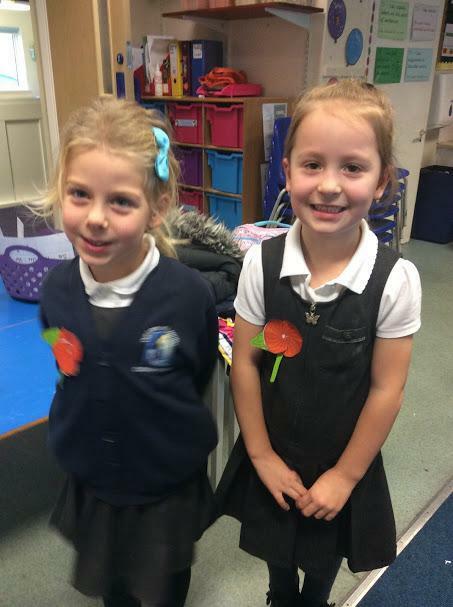 We also discussed the meaning of poppies and enjoyed following instructions to create our own. As part of jigsaw we have been thinking about how we are similar and different to other people. We also discussed what it feels like to be different. 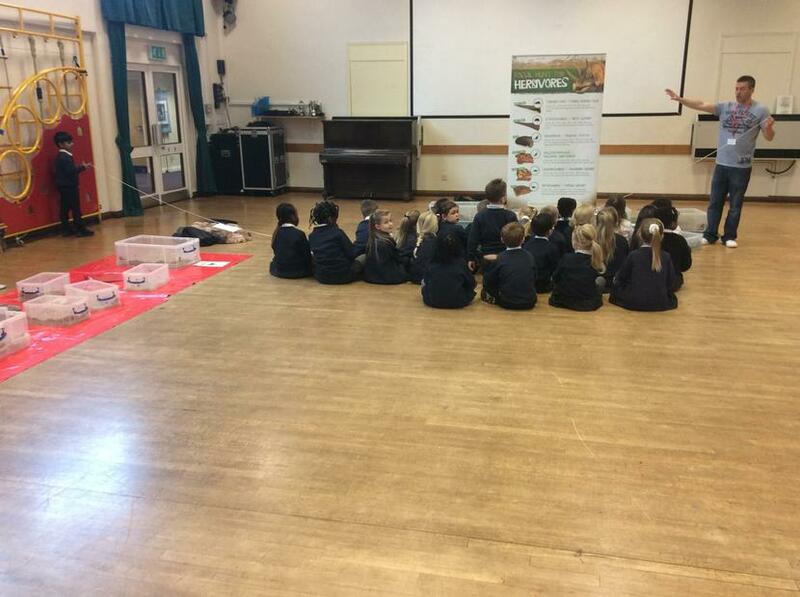 At the end of the week we joined reception and listened to a visitor who talked about road safety. I was very impressed with the effort Mulberry class made for children in need – they looked fantastic in their Pudsey clothes and spots! I hope all the children have an enjoyable weekend. 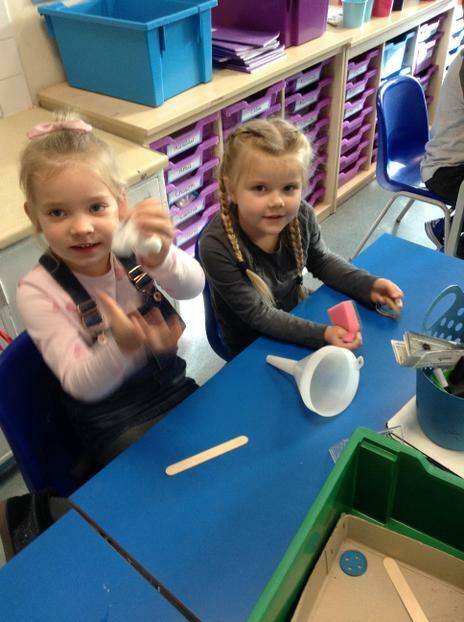 The first week back has been very busy and filled with lots of fun activities! The first day back was Bonfire night and we created some fantastic firework pictures, experimenting with pastels and different techniques. 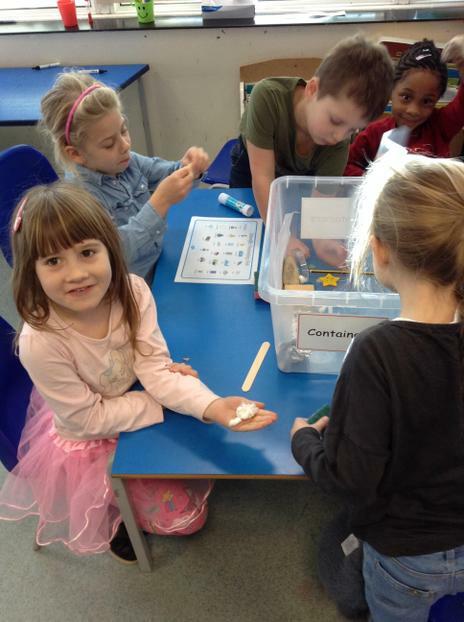 We also had our WOW day to launch our enquiry about Fire and Ice. 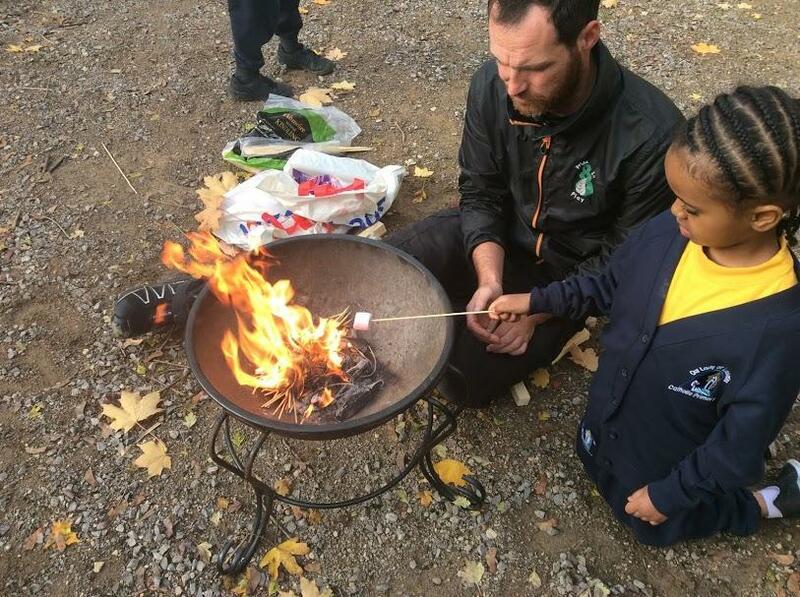 We discussed what happened to materials when they are near fire. 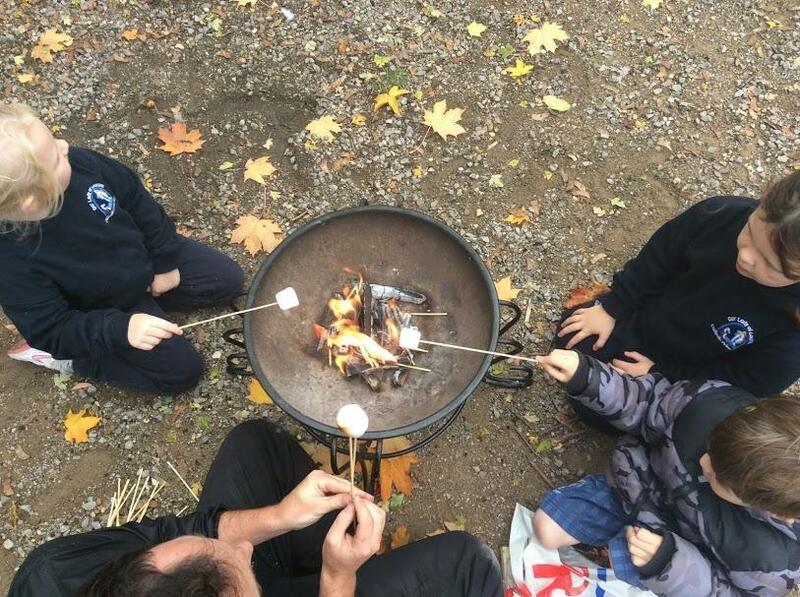 The children explored this by sitting around a bonfire and toasting marshmallows. 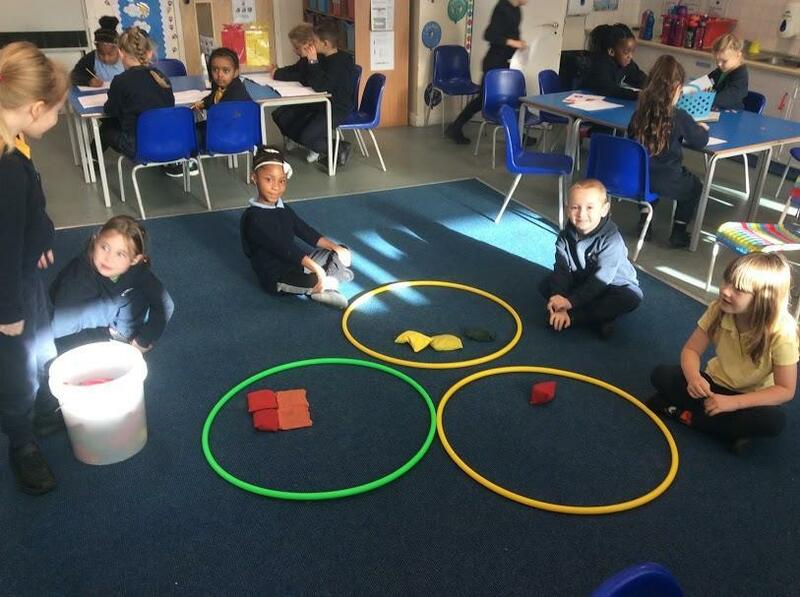 Throughout our Enquiry we will be focusing on the question – ‘What is the difference between fire and ice?’ In maths we have been partitioning numbers using the Part Part Whole model. 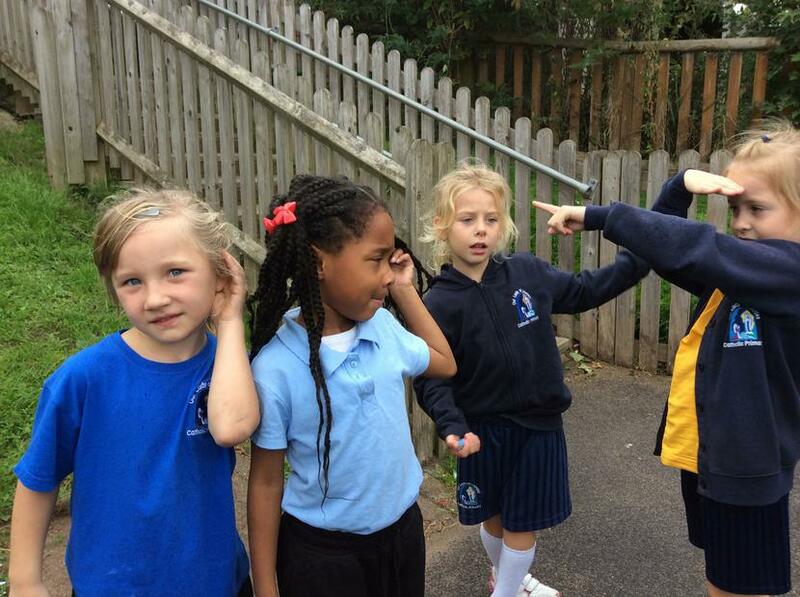 We learnt about this by manipulating physical objects first and then we moved on to recording our work pictorially. In English, we have stared a new non-fiction book called The Emperor's Egg. We looked at the front cover and made predictions about what the book might be about. The children then listened to the story and came up with a list of interesting key words. In RE, we have moved on to learning about other faiths, and we have started to learn about Hinduism. The children drew a picture of their God, Brahman and wrote something they can remember about the religion. 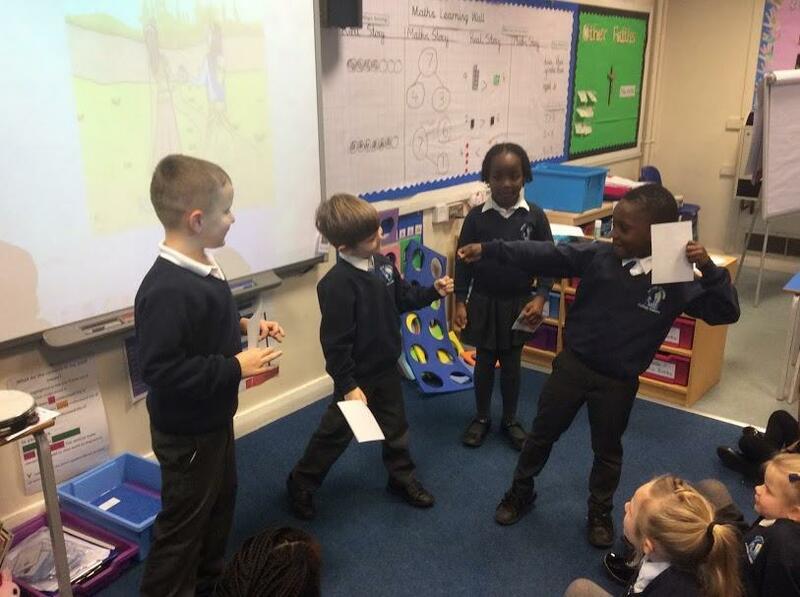 We also learnt about the story of Rama and Sita and acted it out. 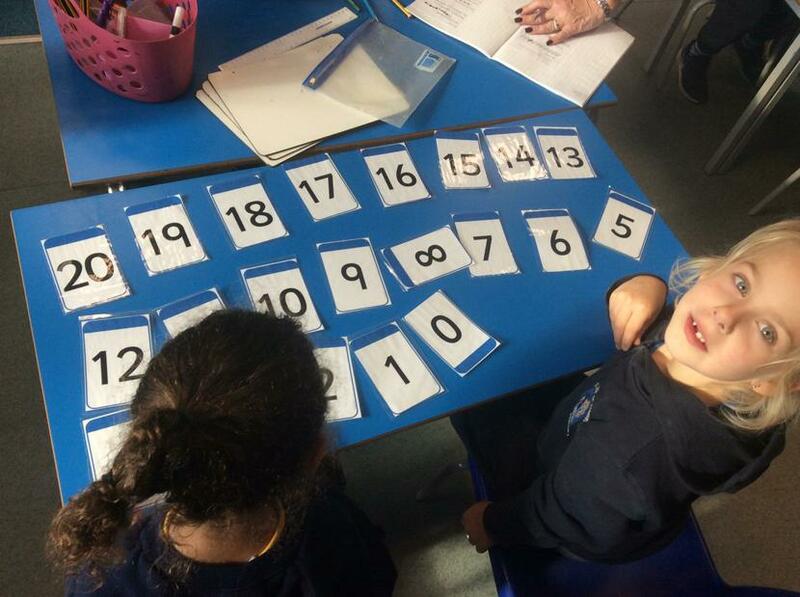 This week in maths the children have been learning about number lines. 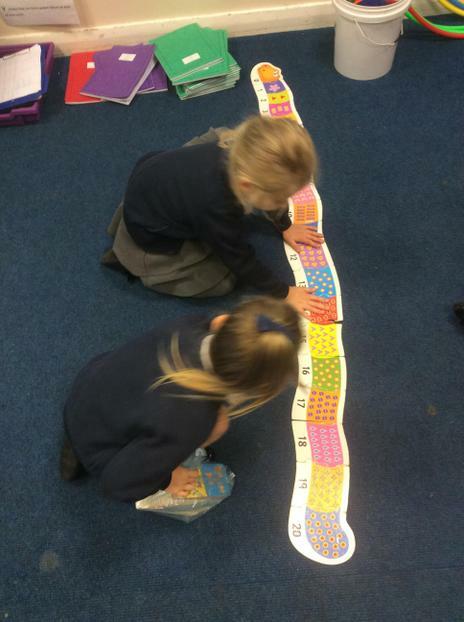 They have been filling in missing gaps on number lines and ordering numbers accurately. They have also been using a number line to see one more/one less and see greater than/less than statements. In English, we planned our stories based on the book, 'Belle and the Bee Who Spoke', including adjectives. We then wrote the beginning of our story using a range of writing targets that we have learnt this term. As part of spelling, we have been focusing on adding -s and -es to make plural nouns. In RE, we have enjoyed learning about the church's year and the liturgical calendar. 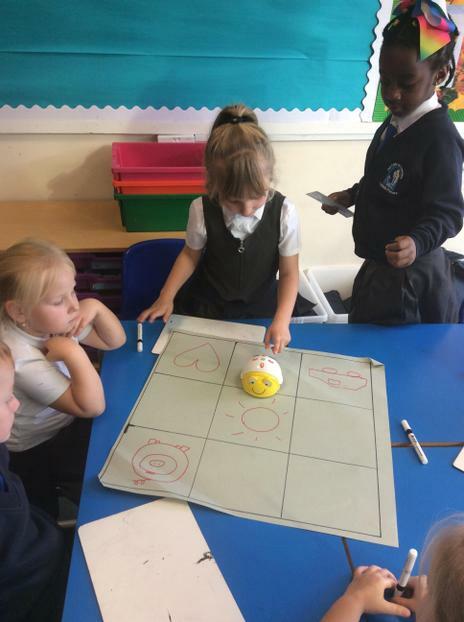 We also had our termly ICT day where the children learnt to understand and create algorithms for people and online charachters. 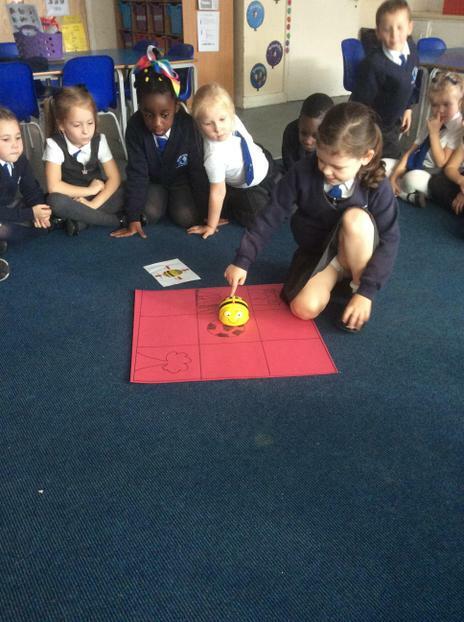 They also enjoyed programming a Beebot. What a busy and productive term it has been! 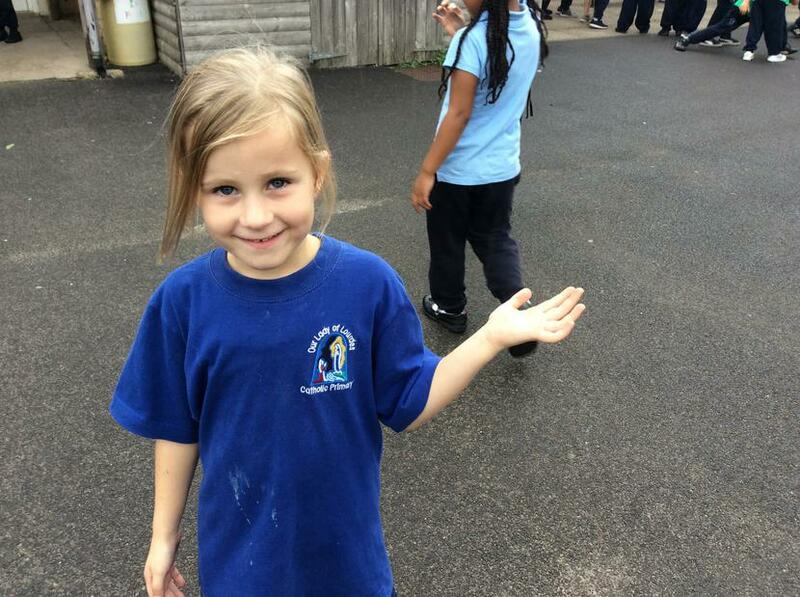 I am very proud of how well all of the children have settled in, they have really stepped up to the challenge of Year 1. I feel lucky to have such a lovely class and look forward to enjoying the run up to Christmas with them next term. Mulberry class have worked exceptionally hard this term and are ready for a well deserved, restful break. Mulberry class have had a lovely week. 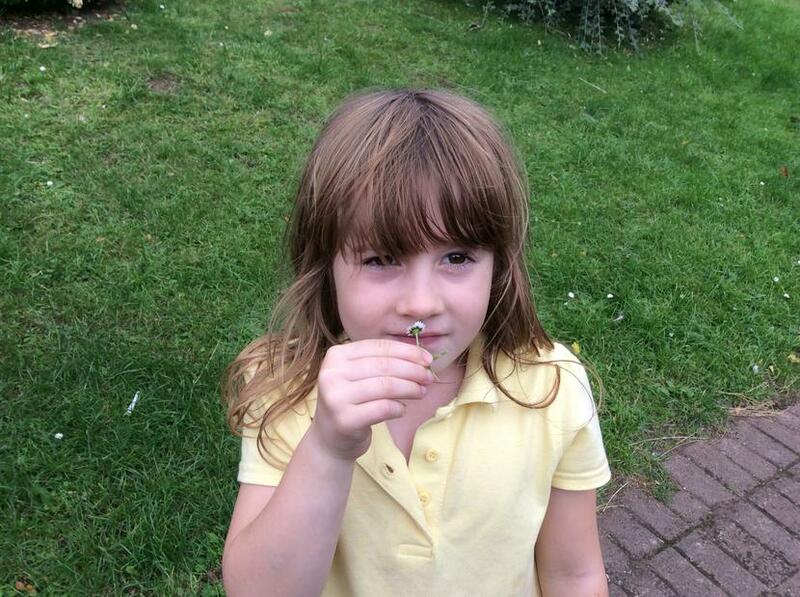 In English, we have been thinking about the main character in the story, ‘Belle and the Bee Who Spoke’. We have wrote detailed character descriptions, including full stops at the end of sentences. We also planned a story based on the book, including some changes. 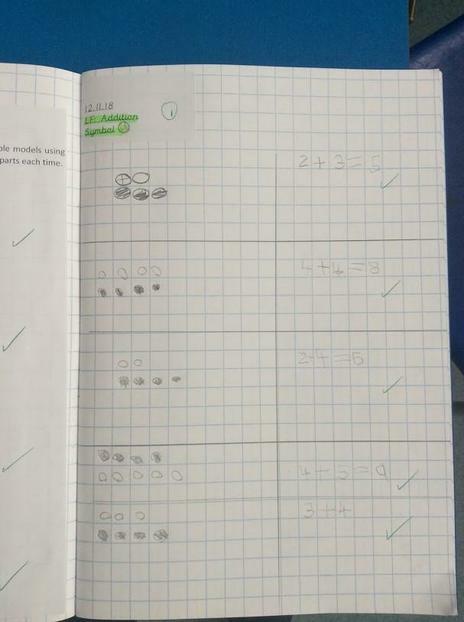 In maths, we have moved on from comparing physical objects and the children have been able to confidently compare numbers using ‘greater than’ and ‘less than’ symbols. 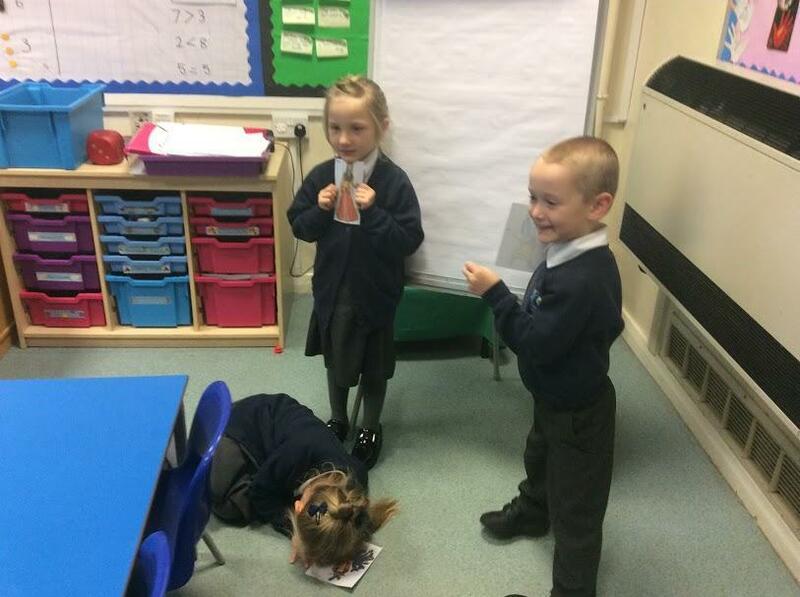 In RE we have been learning that sometimes people want to go to special places to pray, like a church. We drew a picture of our church and wrote about how we feel when we are there. We also began to think about the different ways that people pray and what they may pray about. 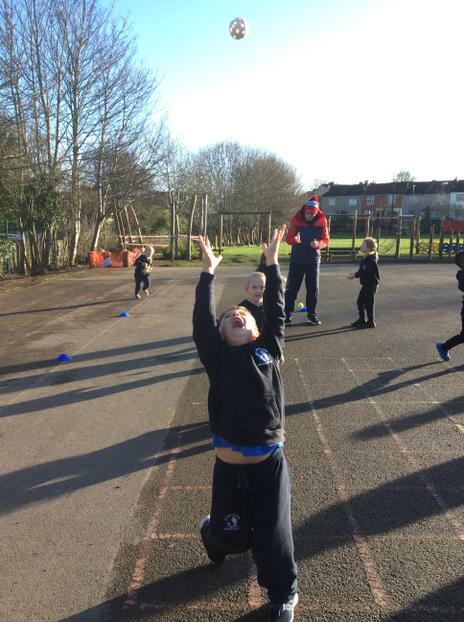 Mulberry class have had such a fun week! 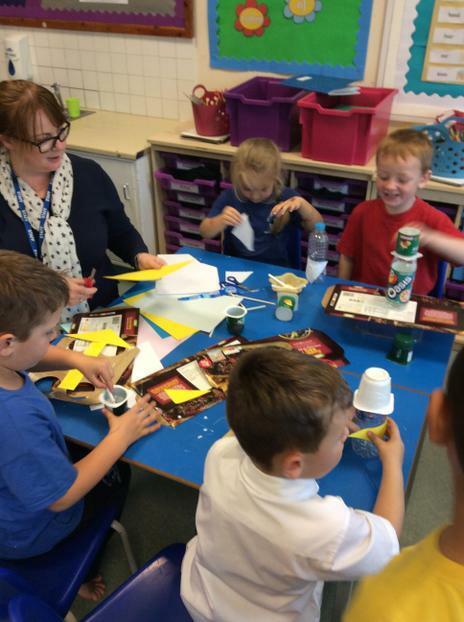 We wrote instructions on how we made our rockets out of recyclable materials, using plenty of verbs. We also started our new book called ‘The Bee Who Spoke’ and wrote excellent sentences based on an illustration in the story, including full stops. 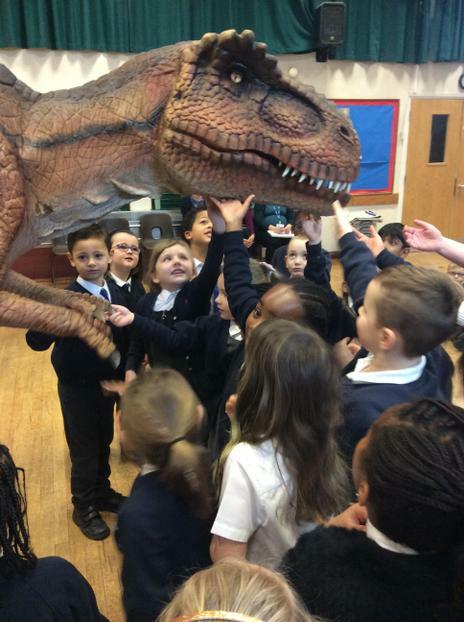 In maths, Charlie the Crocodile came to visit and taught the children about ‘greater than’ and ‘less than’ symbols when comparing objects. 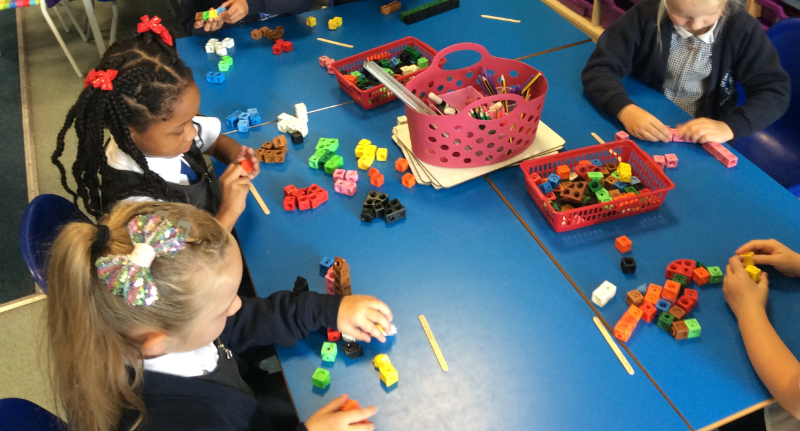 The children compared numicon, counters, beanbags, cubes and much more! 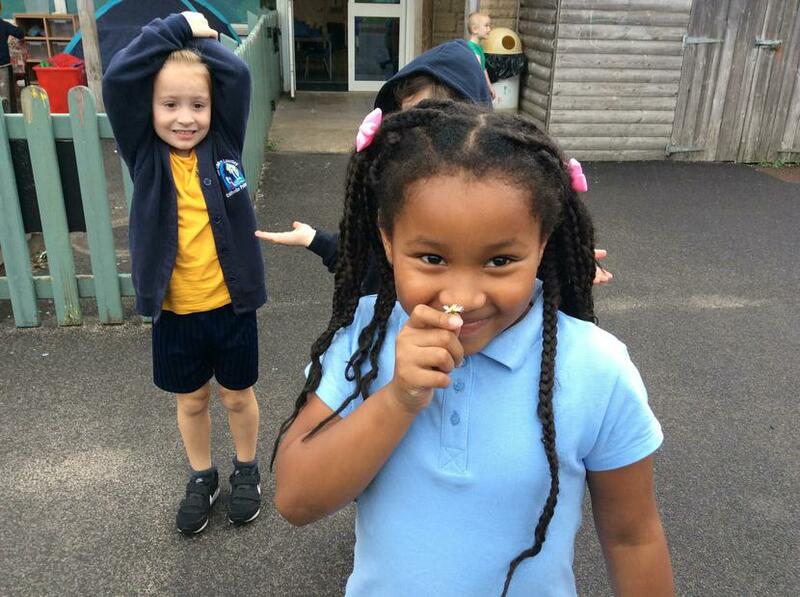 As part of Enquiry, the children enjoyed continuing their learning about the five senses by participating in different activities which required them to smell, taste, feel, listen and look closely using a magnifying glass. 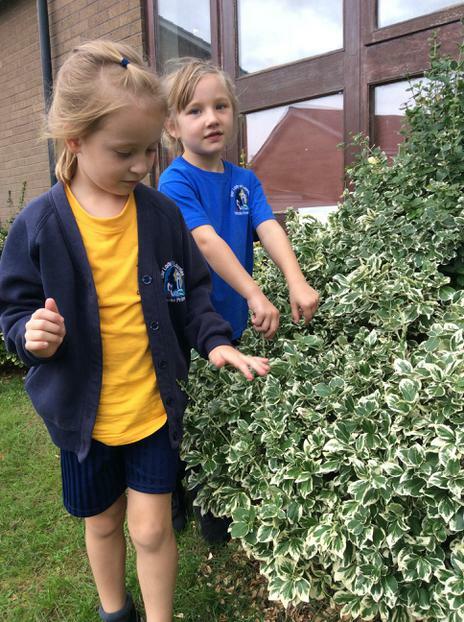 We have also started learning about the seasons and we went on a hunt for signs of autumn, using a checklist. Whilst we were on our hunt we collected lots of fallen leaves and produced some fantastic Art work. In RE, the children had a go at writing their own Psalms which were very thoughtful and lovely to read. What flavour crisp did I 'taste'? Mulberry class have been super busy this week! 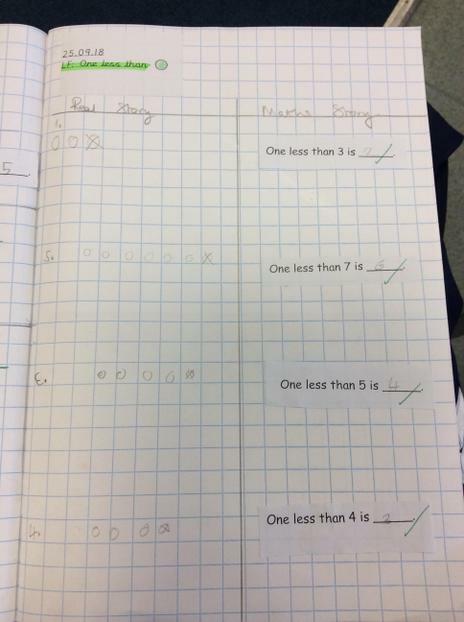 In maths the children have been working out 'one less' than a given a number. 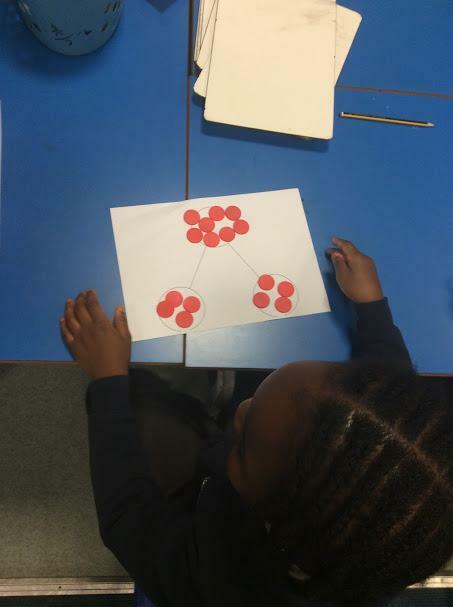 They have been trying really hard to present their work neatly in their books, showing how they worked out the question by drawing it pictorially. 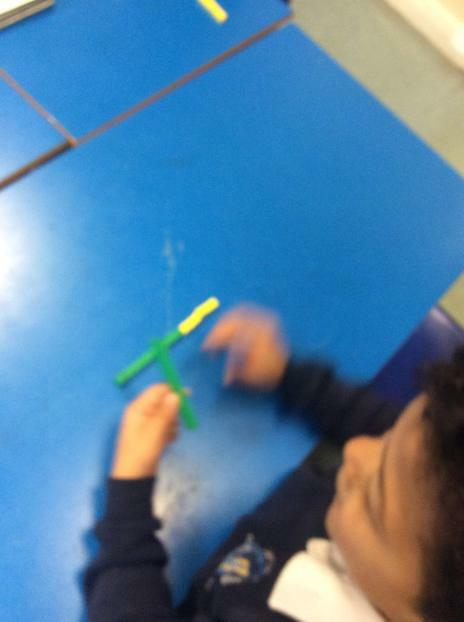 The children have also been comparing objects using the language ‘less than’ and ‘greater than’. In writing, the children have been learning about bossy verbs and wrote their own sentences including them. 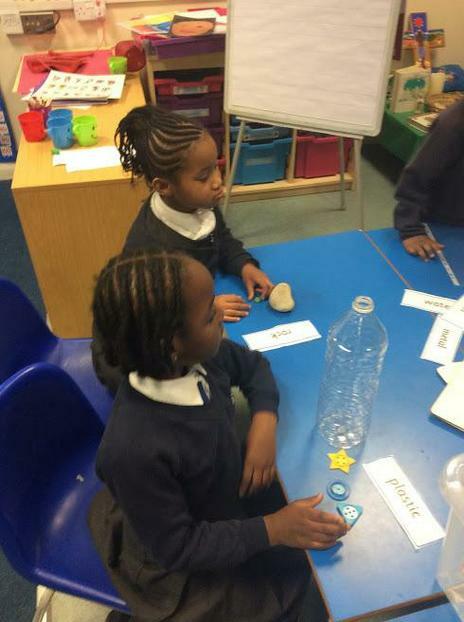 As part of Enquiry, the children listened to instructions on how to make a rocket using bottles, scrap paper and other reusable materials. 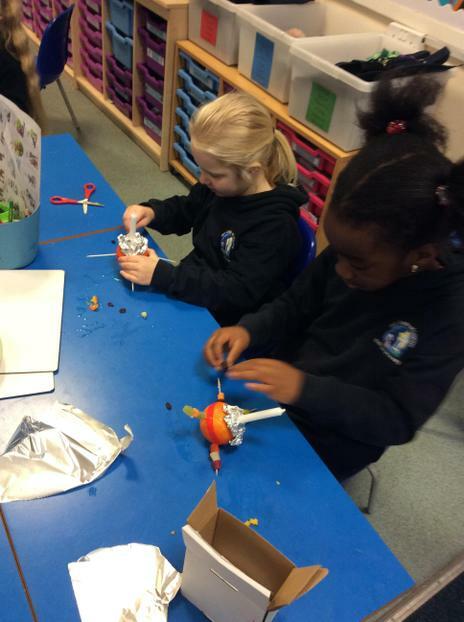 They then had a chance to make their own rocket! 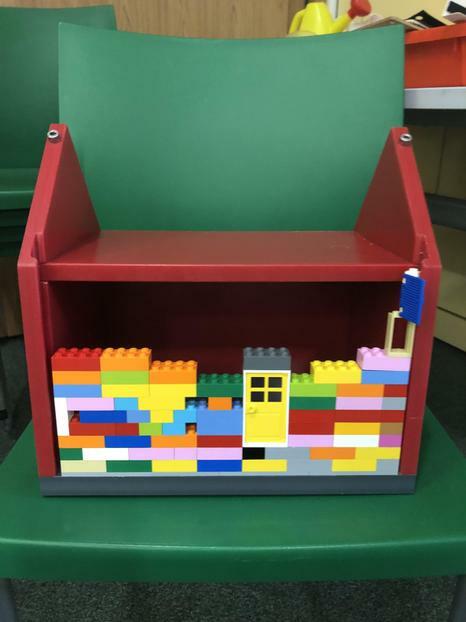 This linked well to our class story ’10 things I can do to help my World’ which suggested making toys out of old boxes. 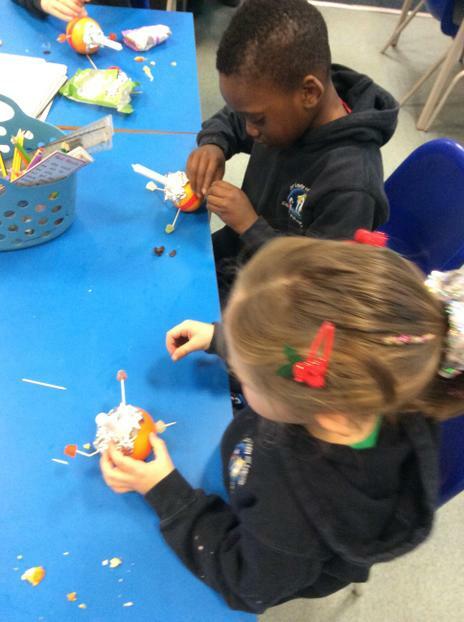 We are looking forward to writing instructions on how to make a toy out of reusable materials next week. During RE we have looked at some Psalms and discussed what they are and what they could mean. We then drew a picture to go with the words in a Psalm. 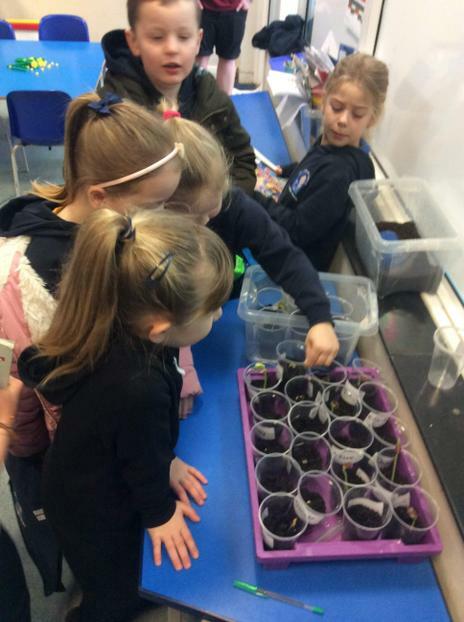 Another productive week for Mulberry class! 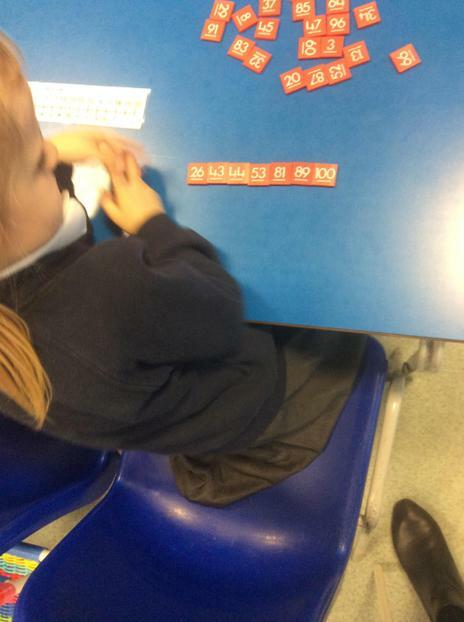 This week in maths the children have been practising counting 'one more' and writing numbers in numerals and words. 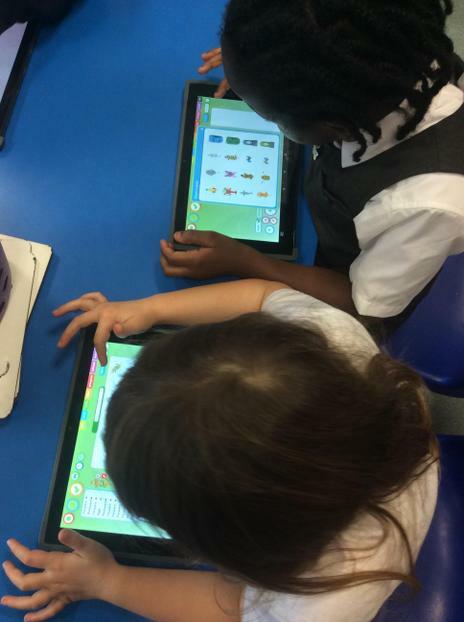 They have had lots of opportunities to explore this concept practically and then record their work in books. 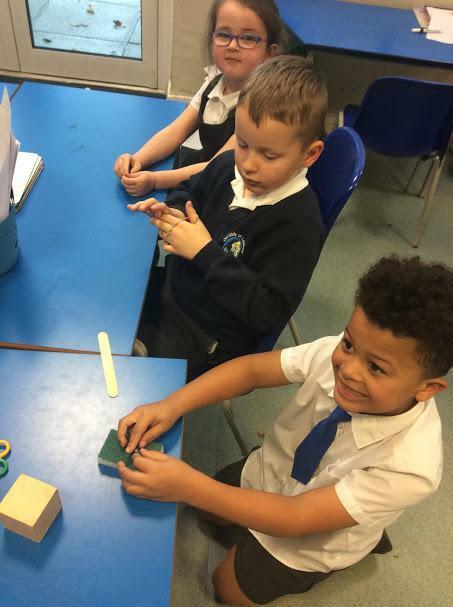 In writing, the children have enjoyed making interesting ZigZag books about the different ways that they can help the world, including many nouns. Some children wrote about turning the lights off and not leaving the tap on. They have also made fantastic posters explaining the importance of helping the world. In RE, the children are beginning to ask questions about Creation. They have also noticed that there are different images of God in scripture and created a shepherd. 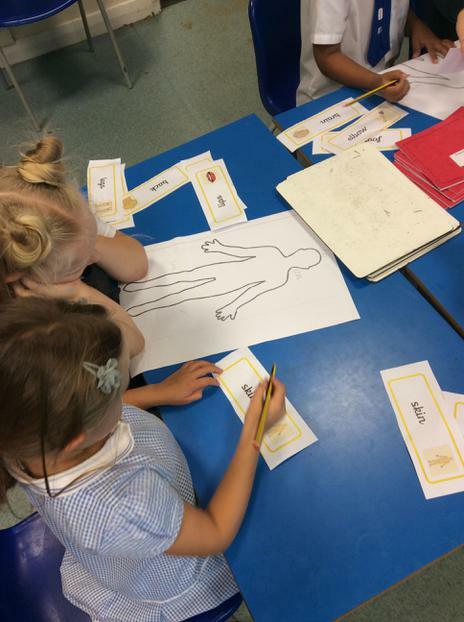 As part of our Enquiry 'All About Me' the children have been labelling body parts and learning about their five senses. Wow, what a fantastic start to the year! 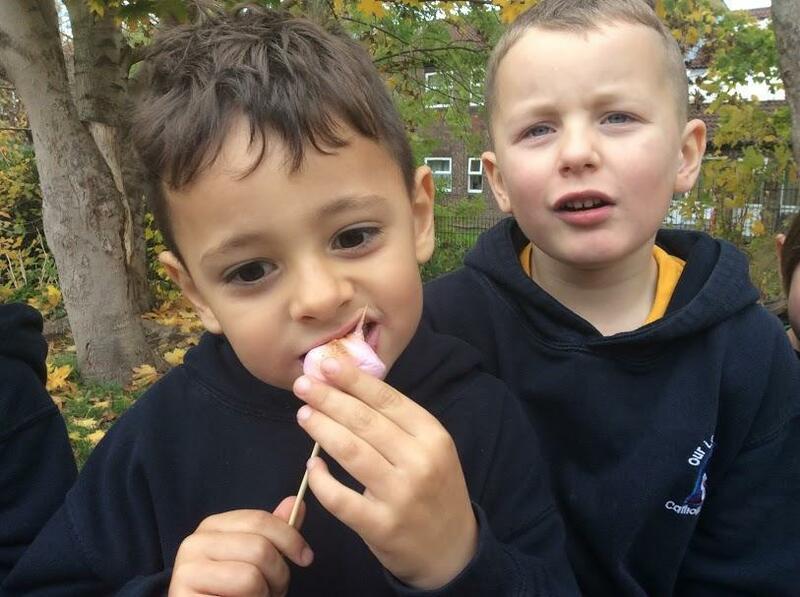 The children have transitioned well from Reception to Year 1 and they have quickly settled in. Miss Gregory and Ms Hopewell have been great at helping with the transition and are always nearby! The children have enjoyed talking to them at break and lunchtimes about the fun learning they have been doing in Year 1. The children have all been really kind and helpful and I am excited for the year ahead. 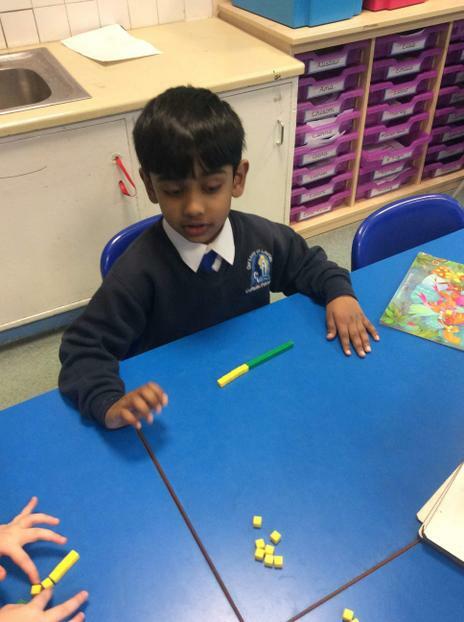 This week in maths the children have been sorting objects, counting objects and counting forwards. They have also been practising their presentation skills in their books. 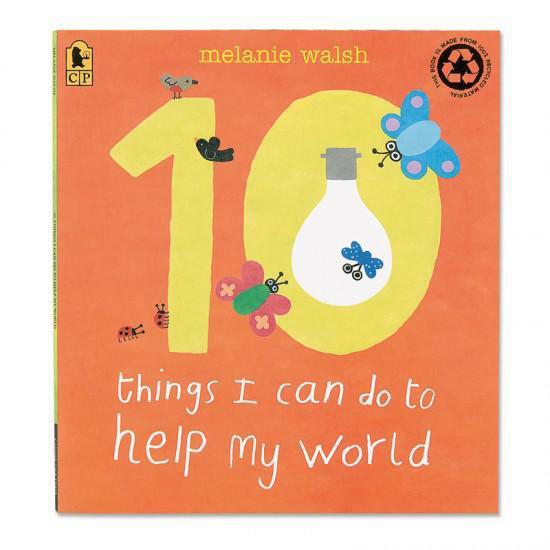 In English, the children have been introduced to the non-fiction story ‘10 Things I can do to Help My World’. They have learnt many ways that they can help the world which is evident in the fantastic sentences they have written. 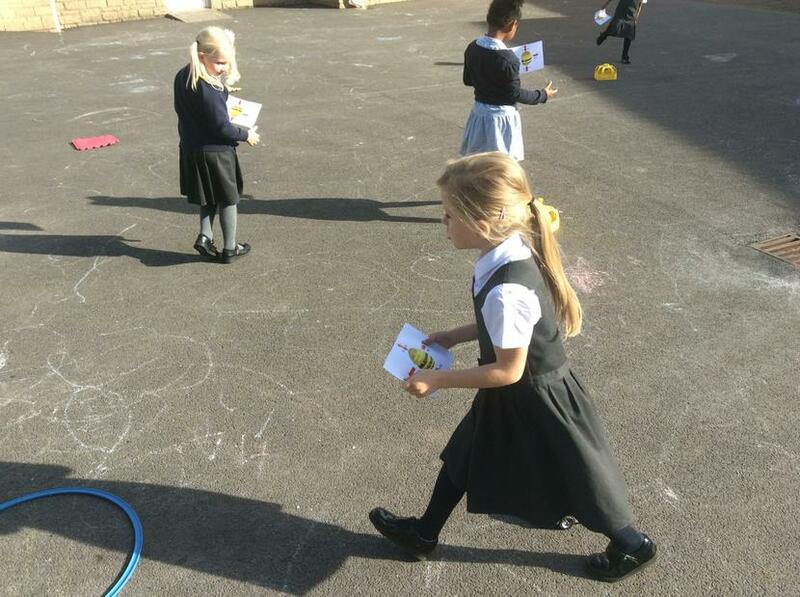 The children also remembered to concentrate on their writing target; to use capital letters at the start of sentences. 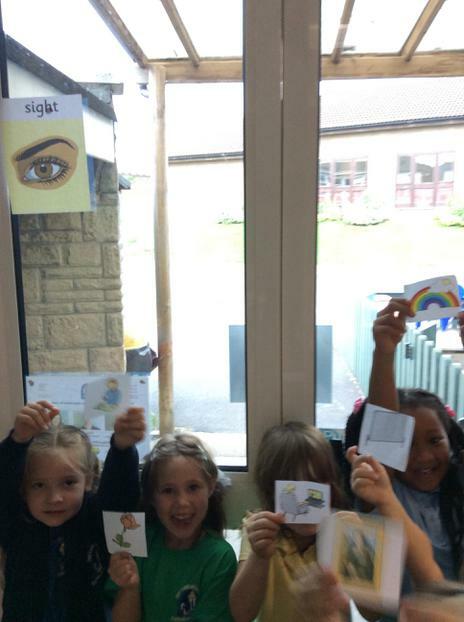 In RE, we are learning about ‘Creation’ and the children have started to think about what God created. Our Enquiry is called ‘All about me’ and this week the children have painted portraits. 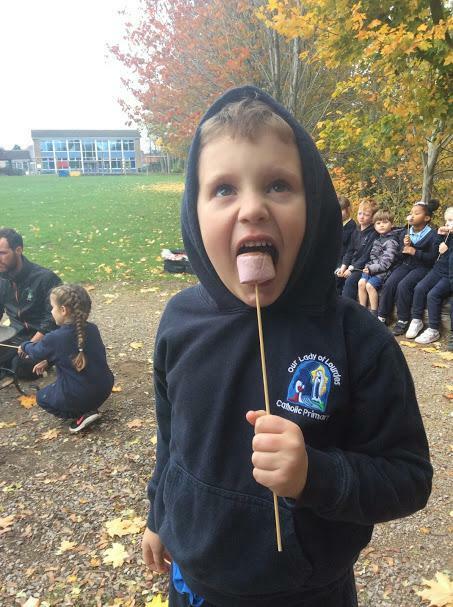 It has been a very busy week and Mulberry class are looking forward to a relaxing weekend.